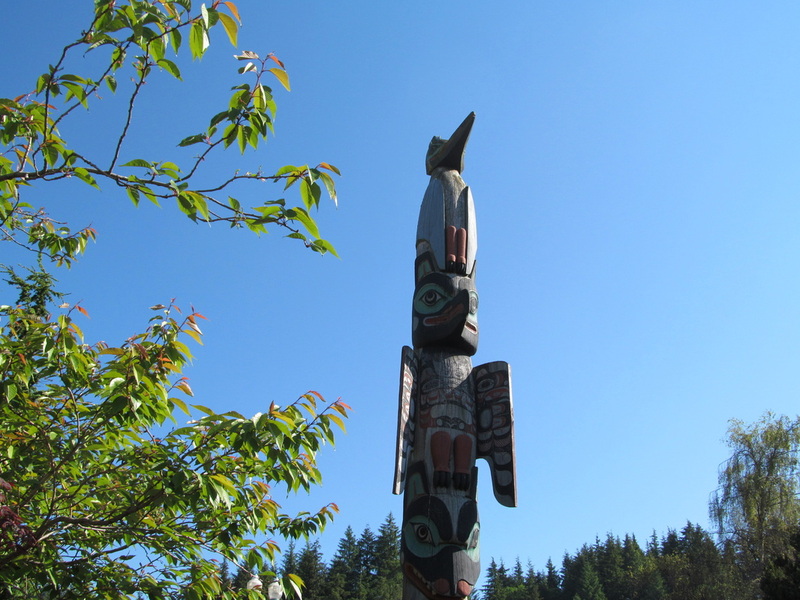 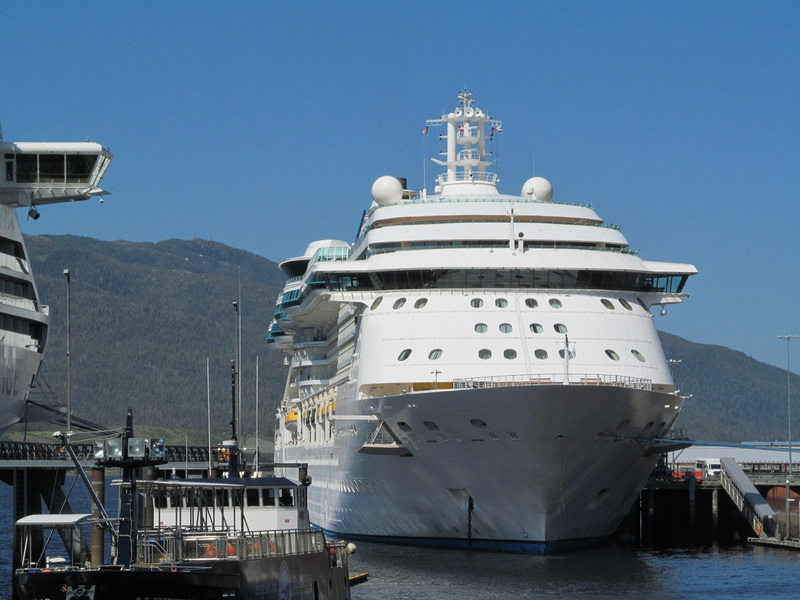 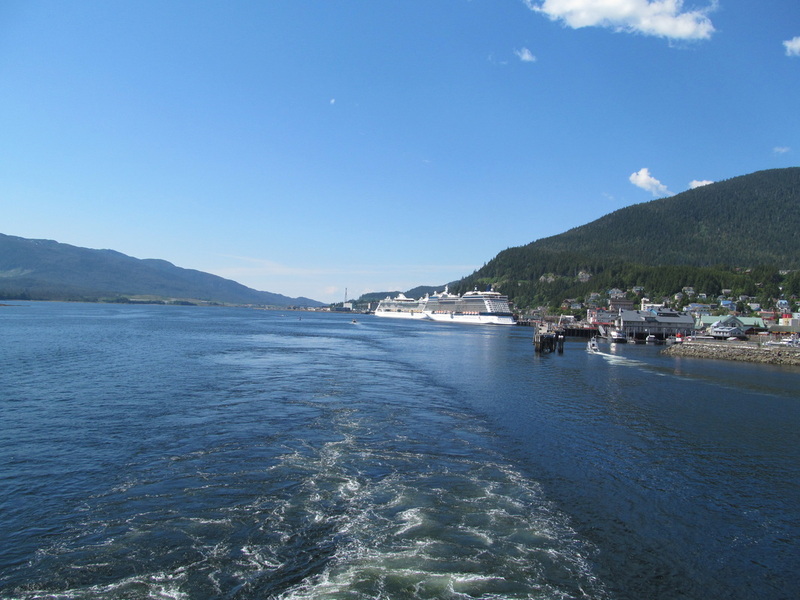 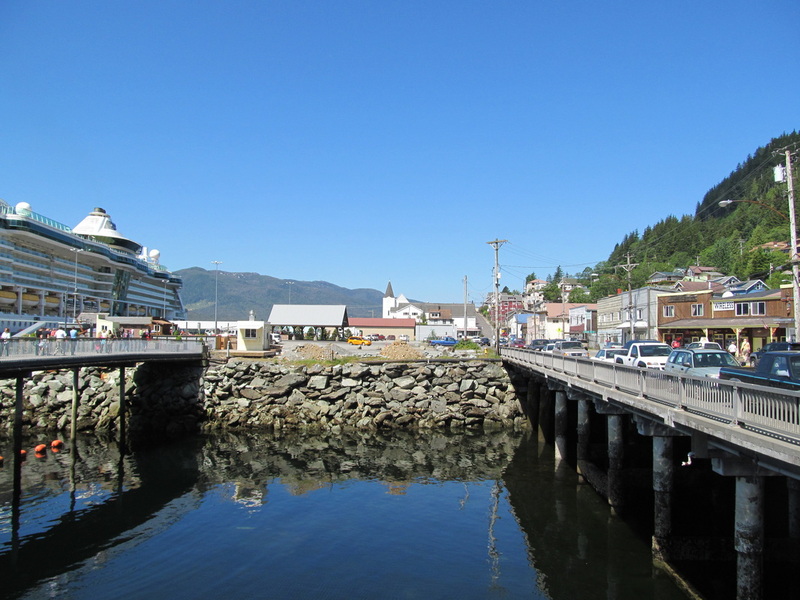 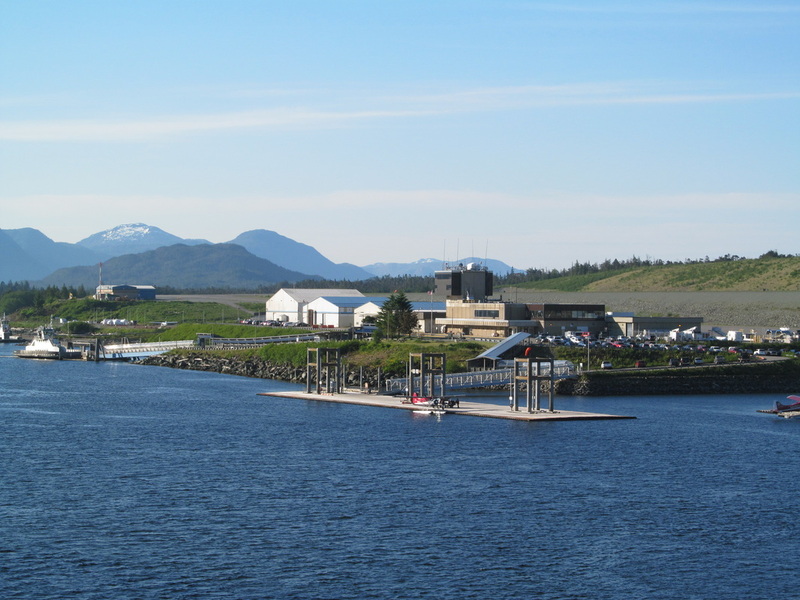 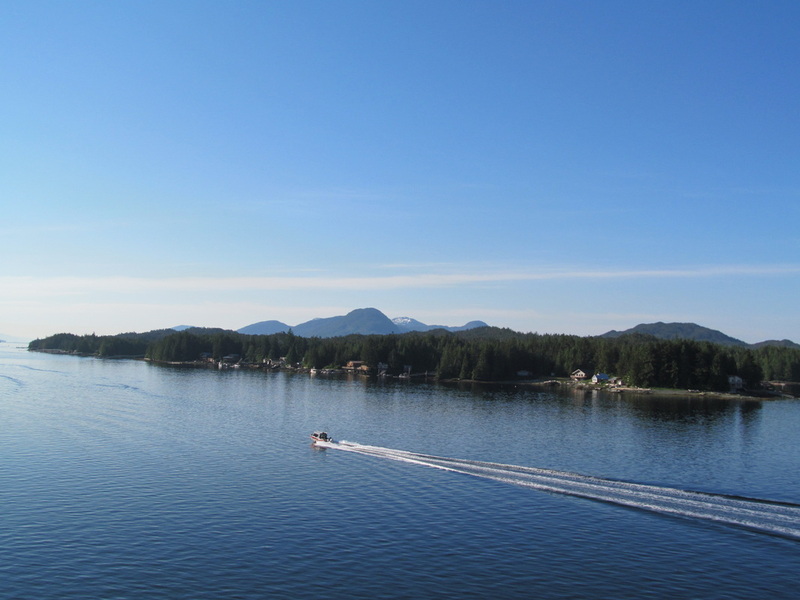 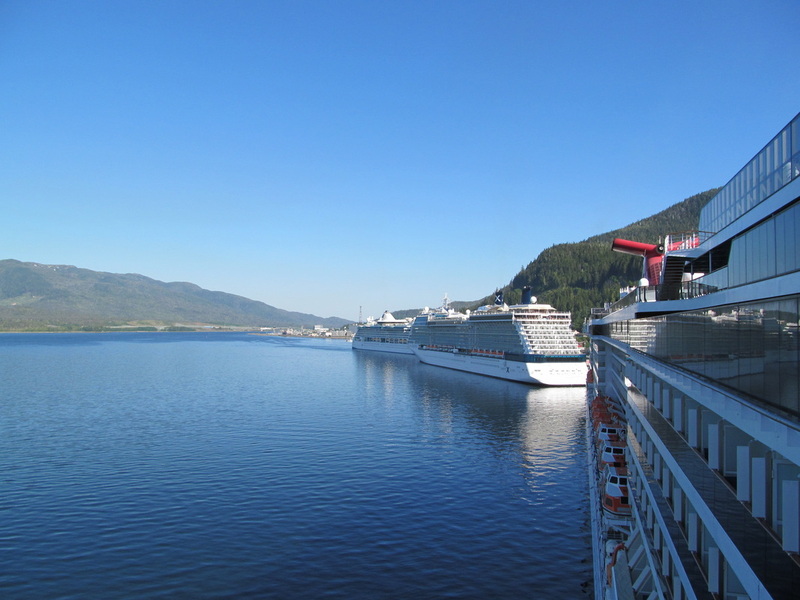 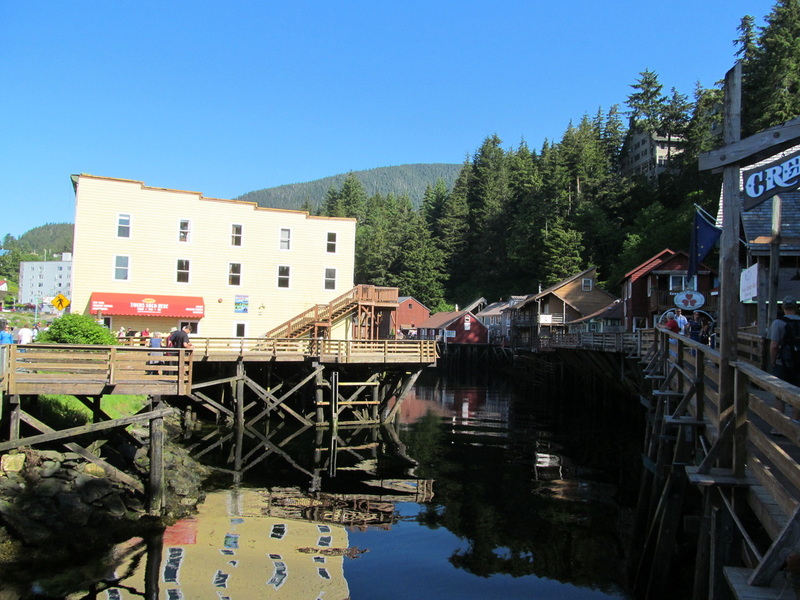 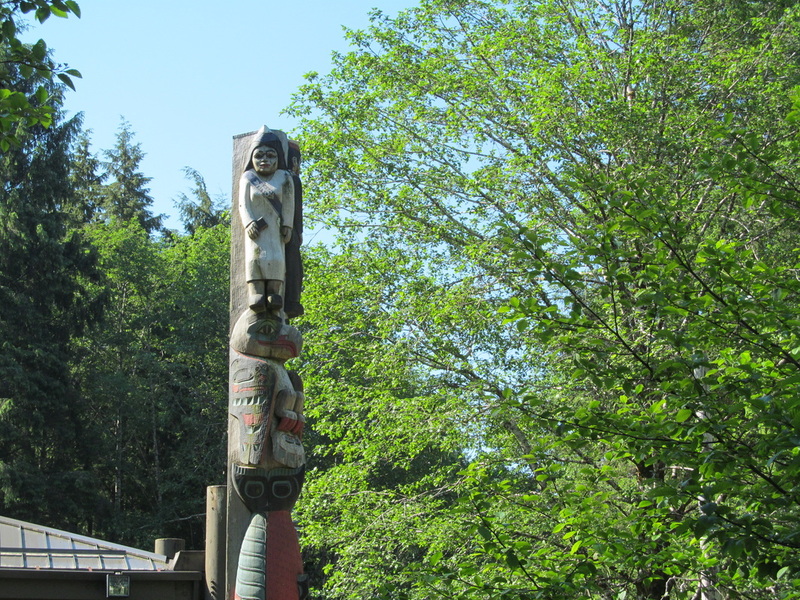 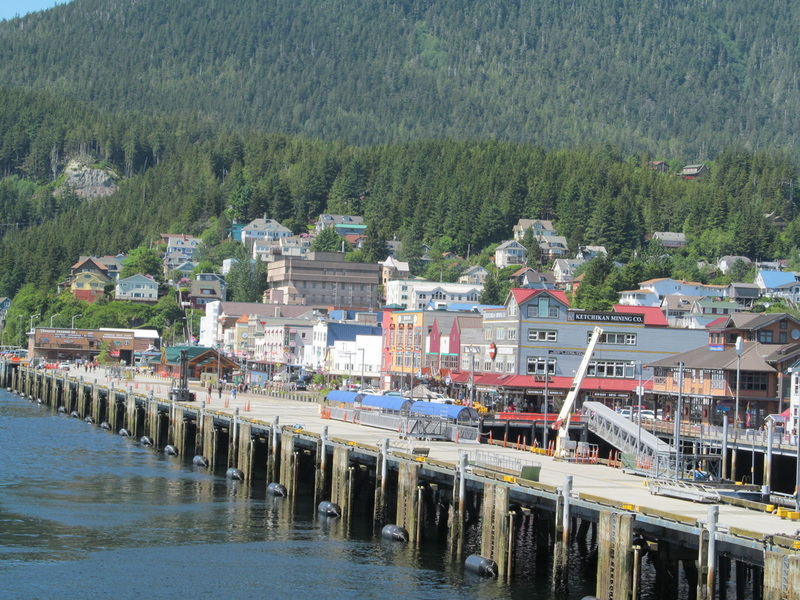 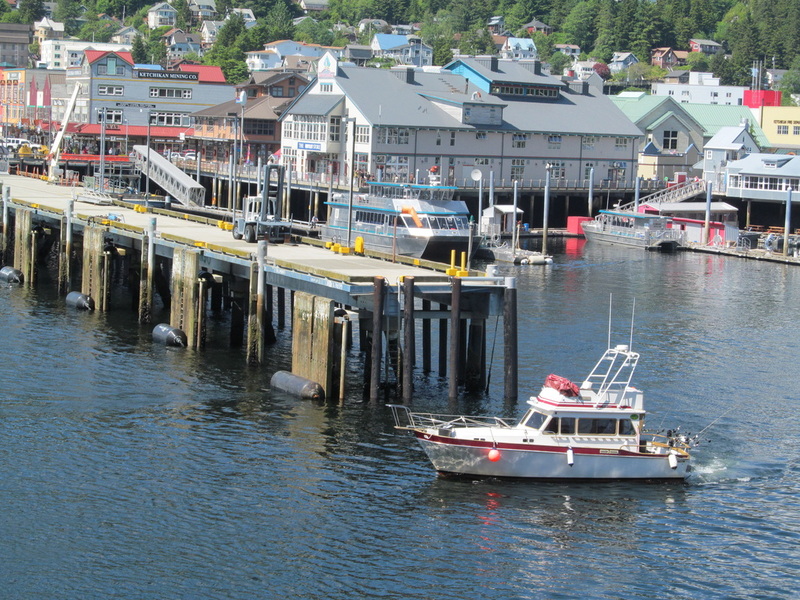 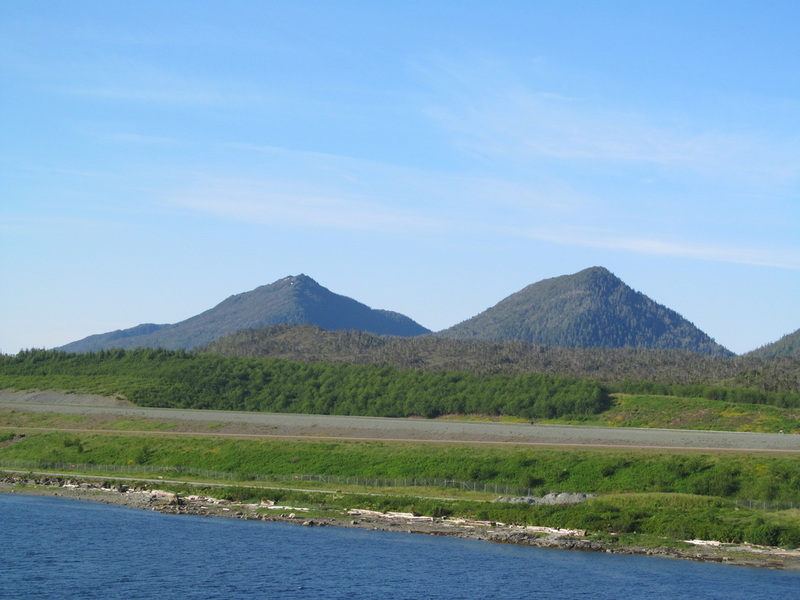 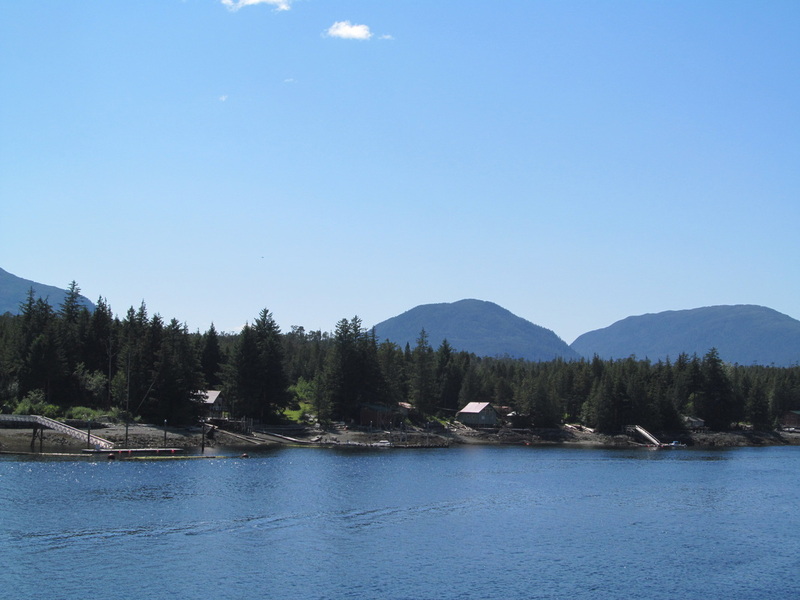 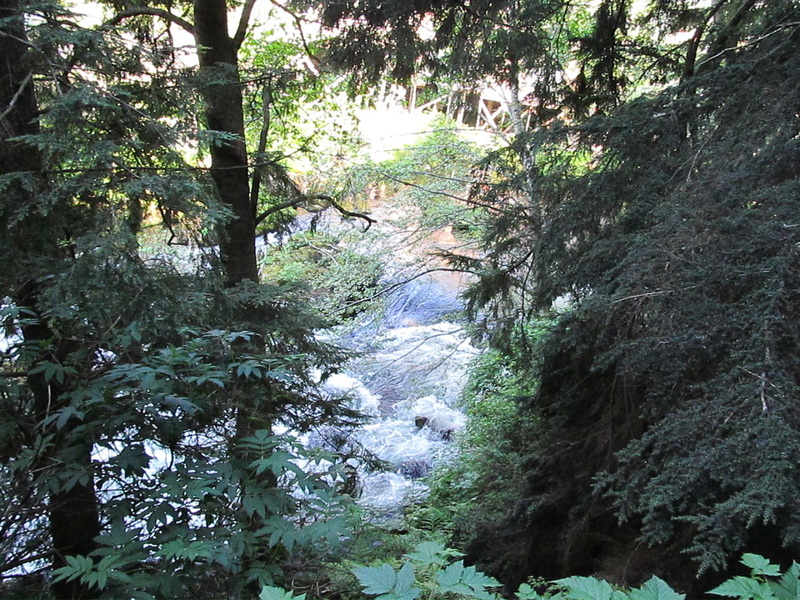 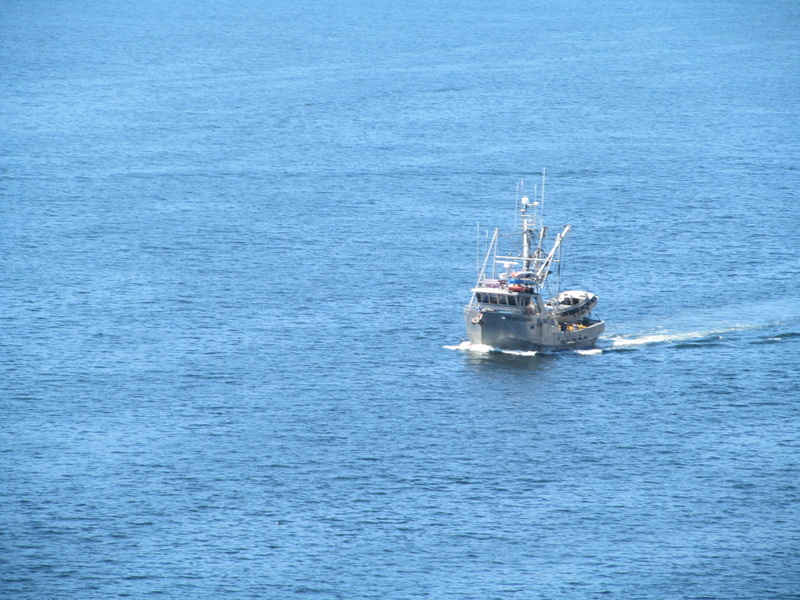 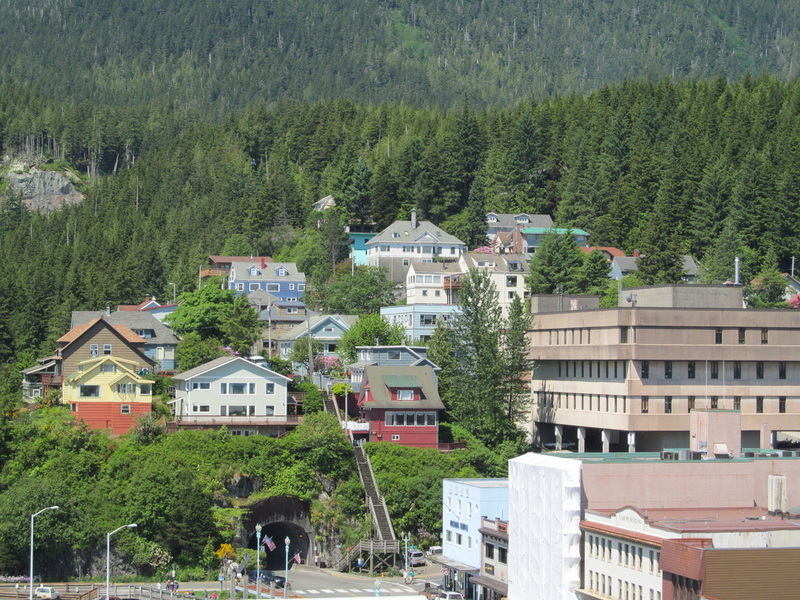 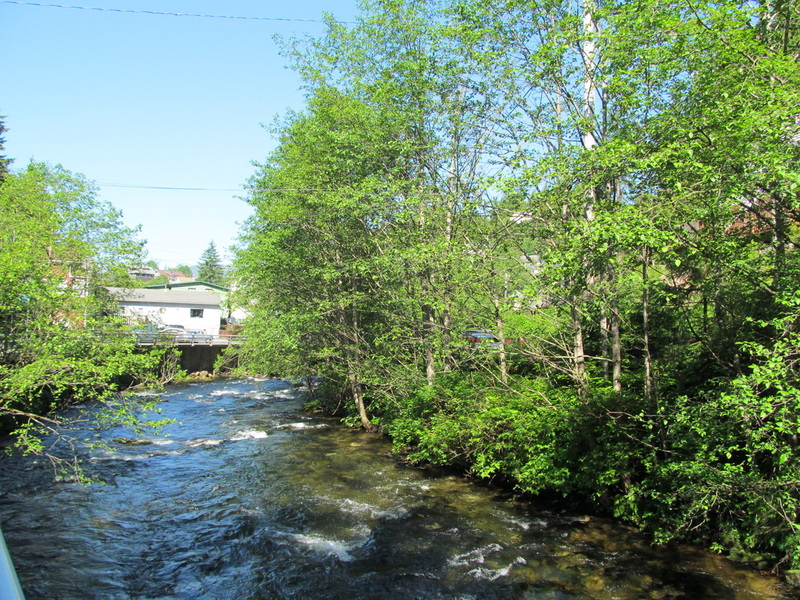 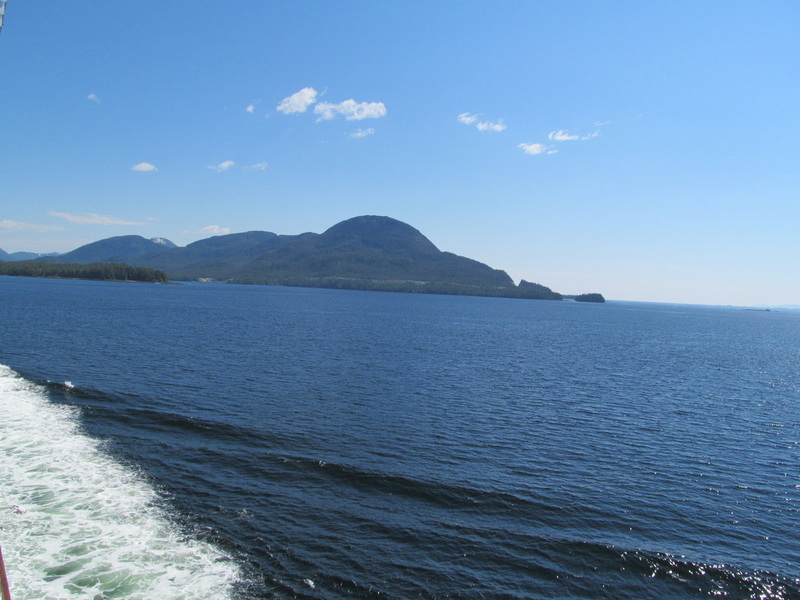 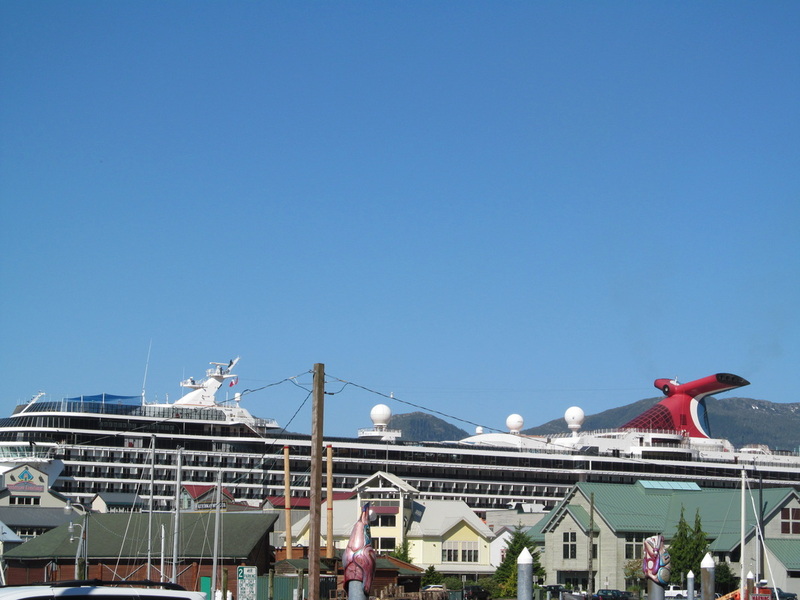 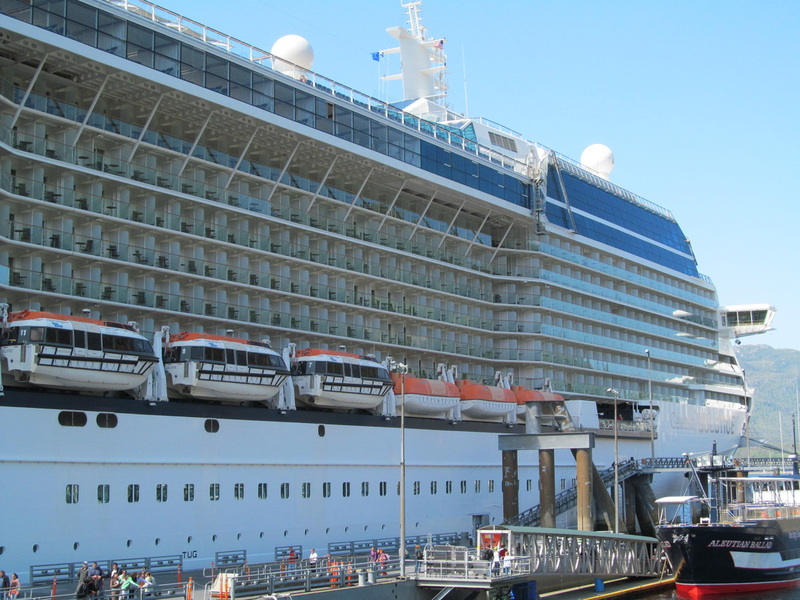 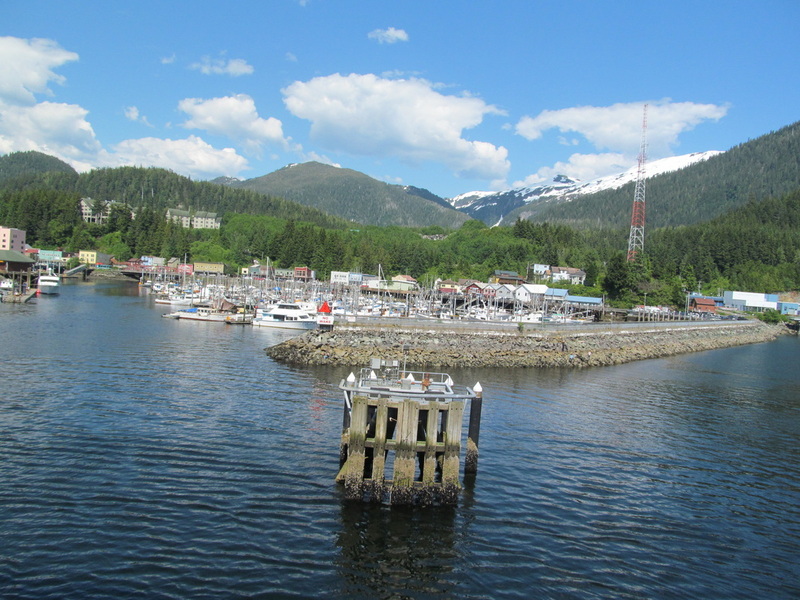 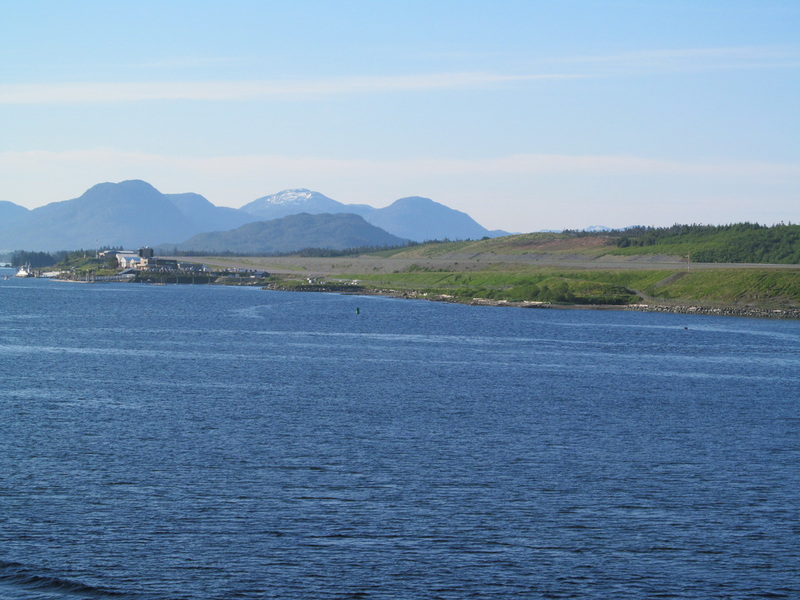 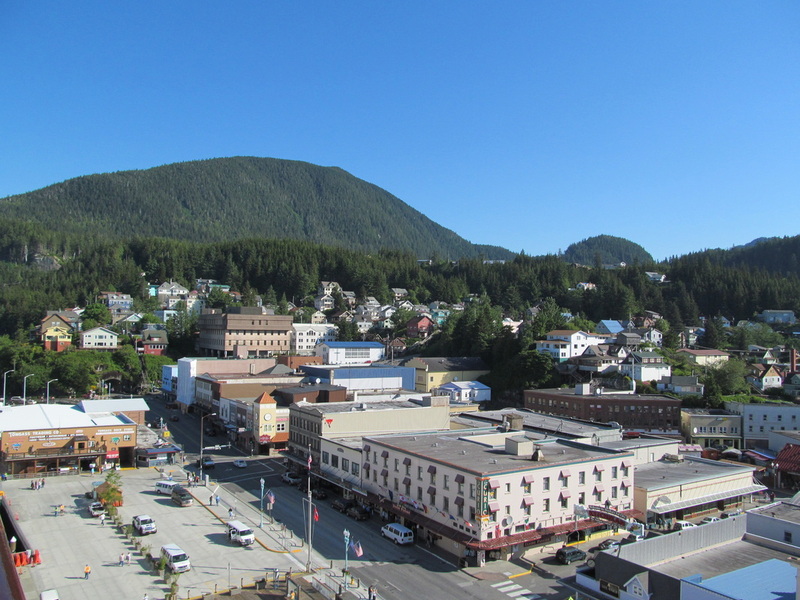 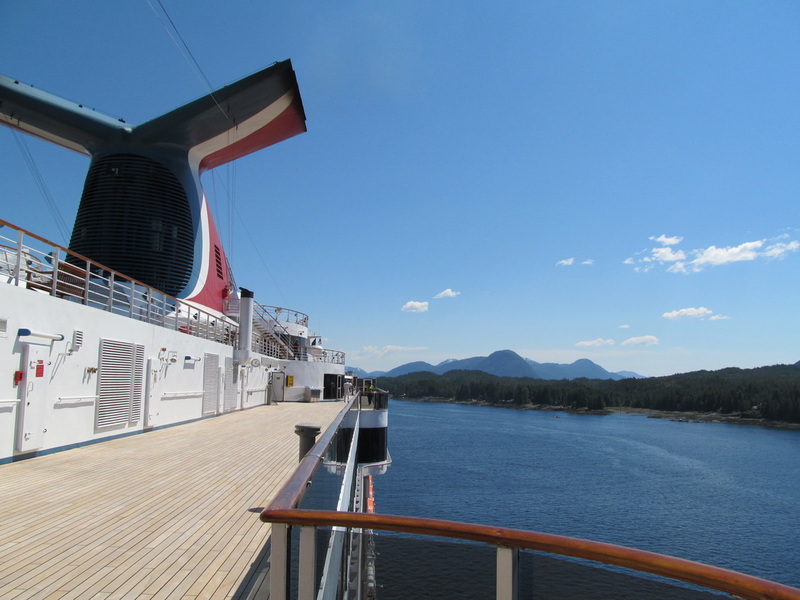 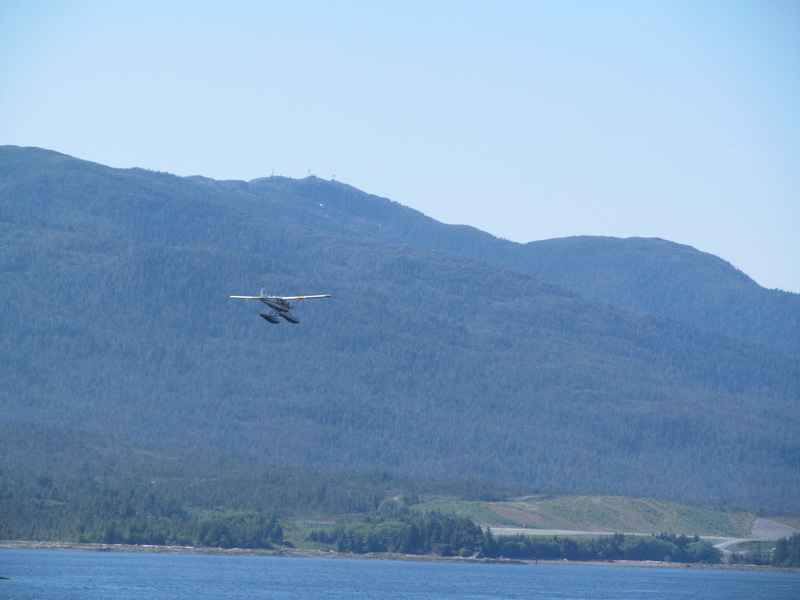 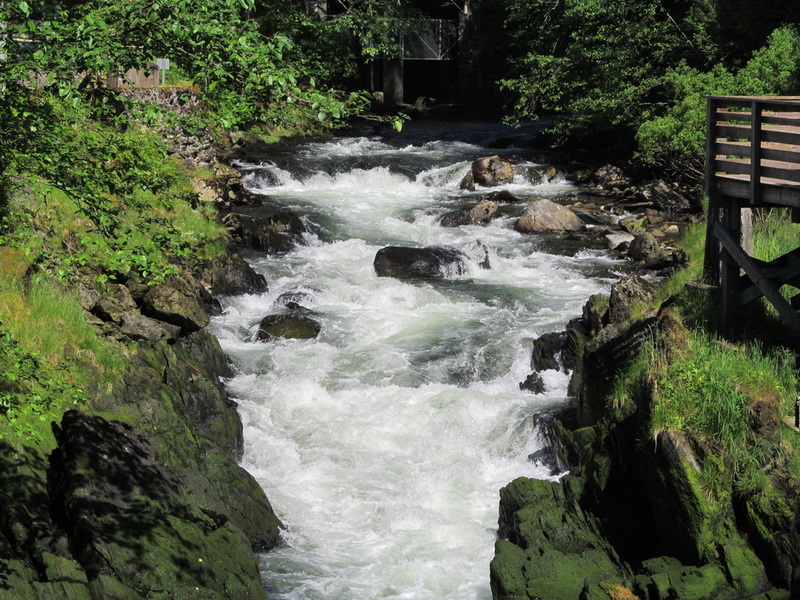 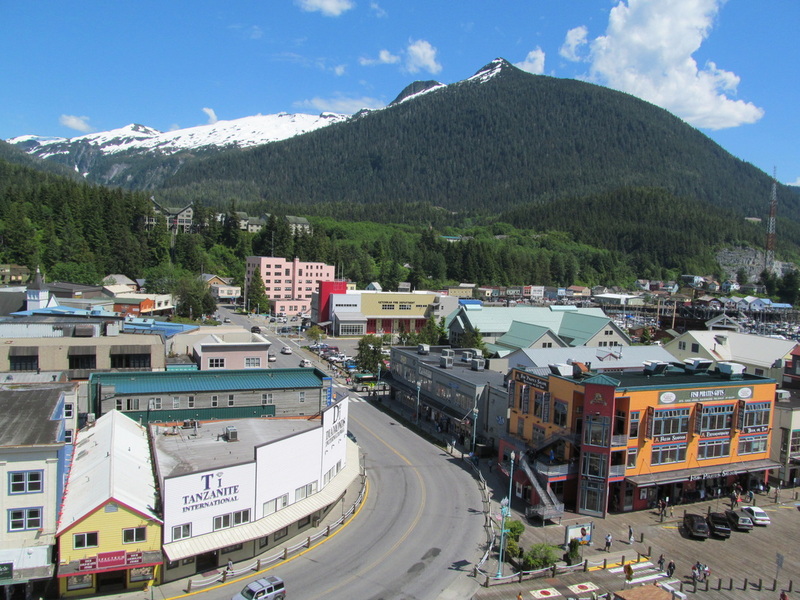 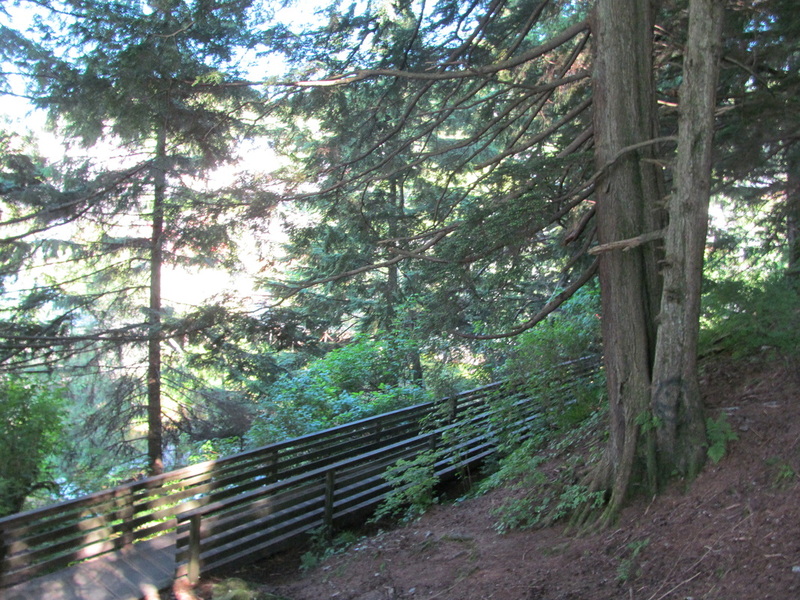 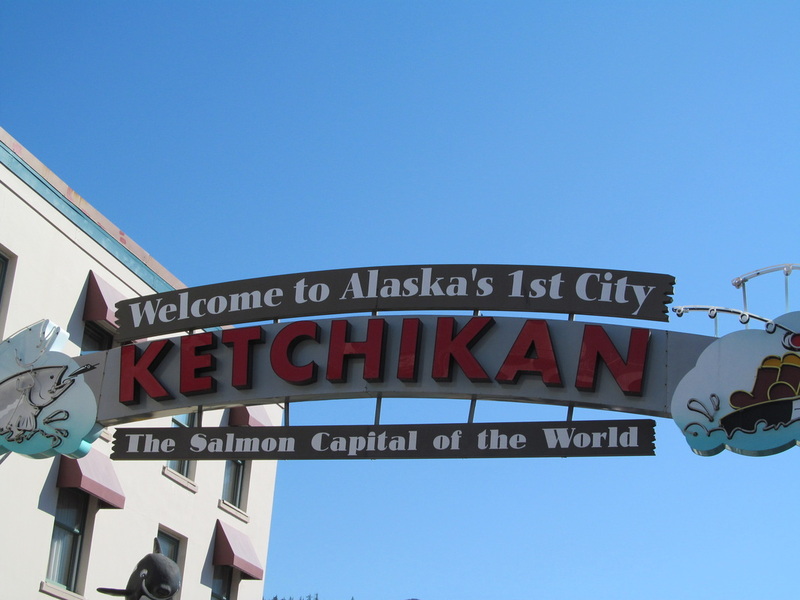 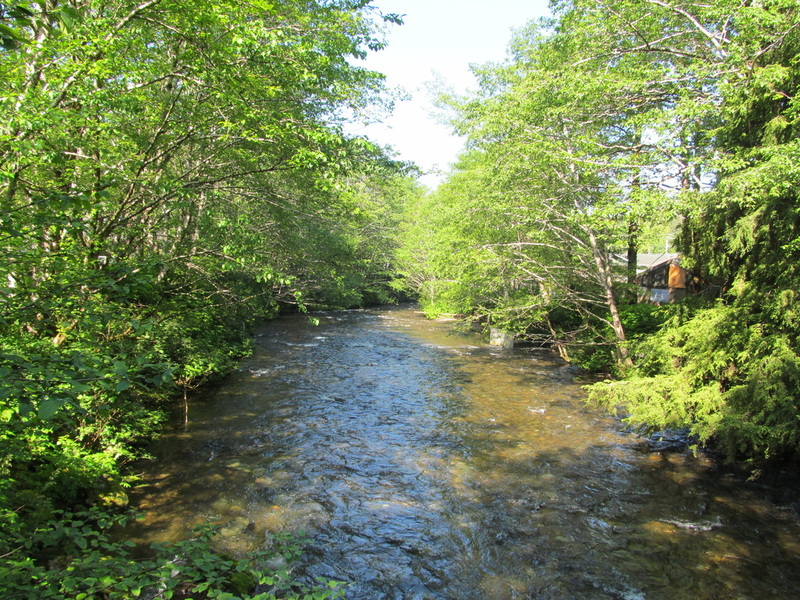 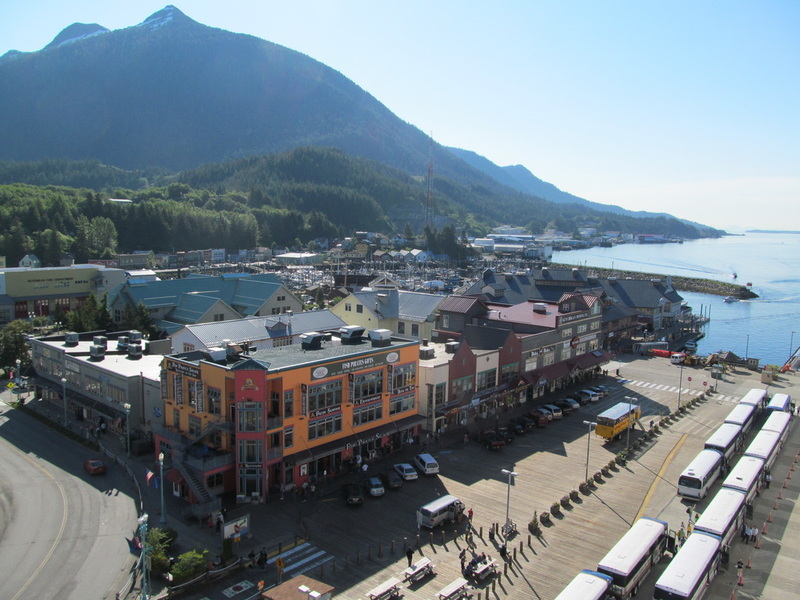 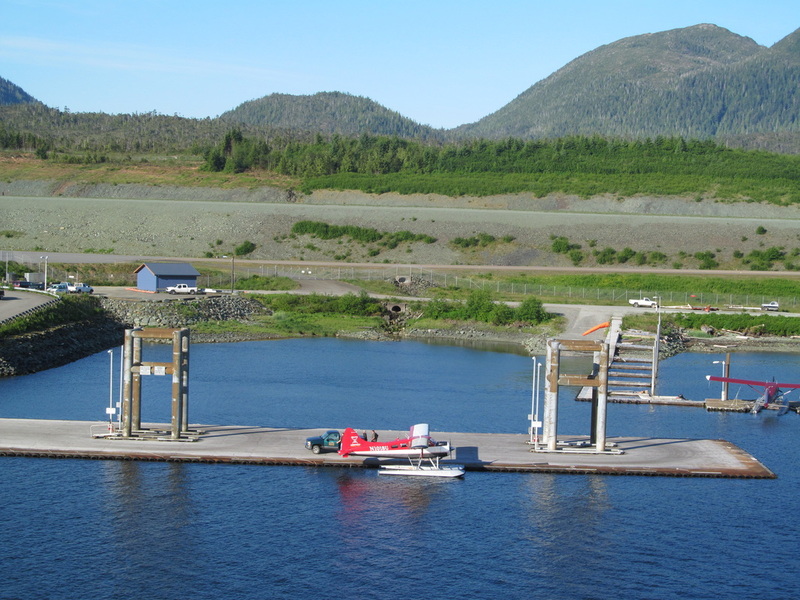 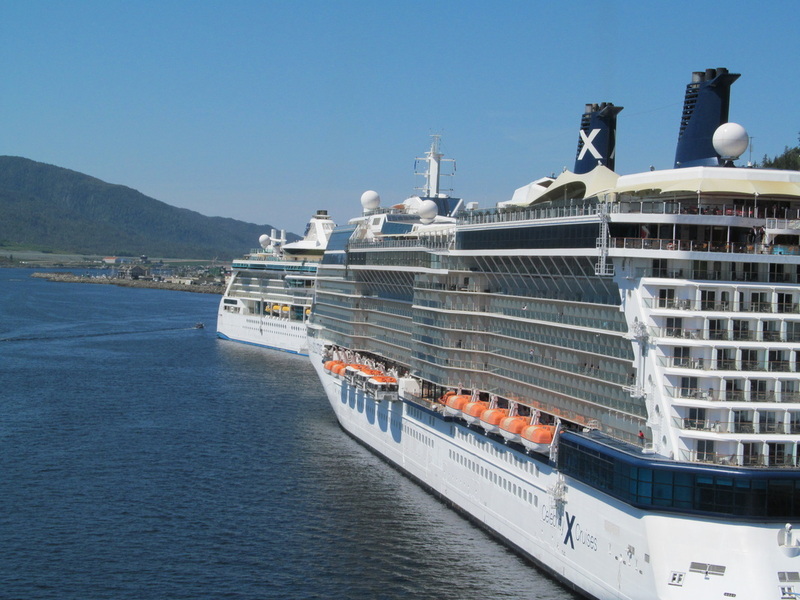 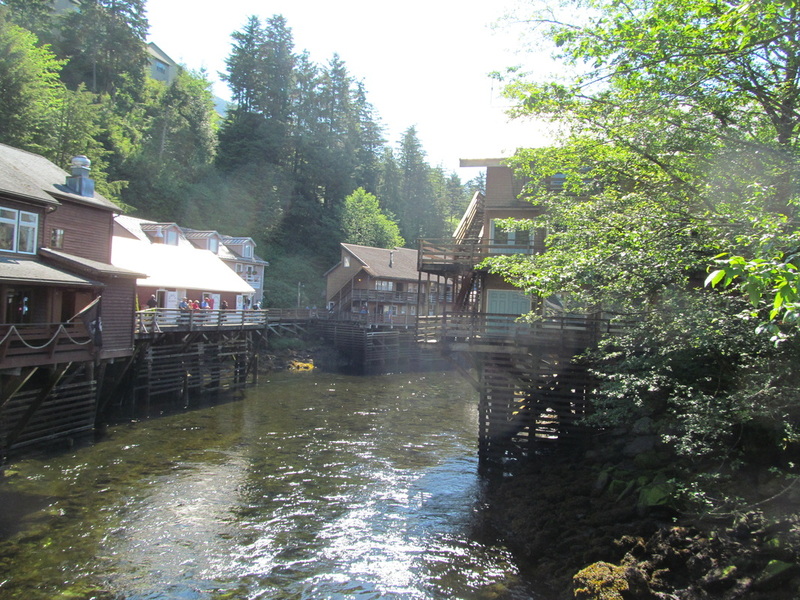 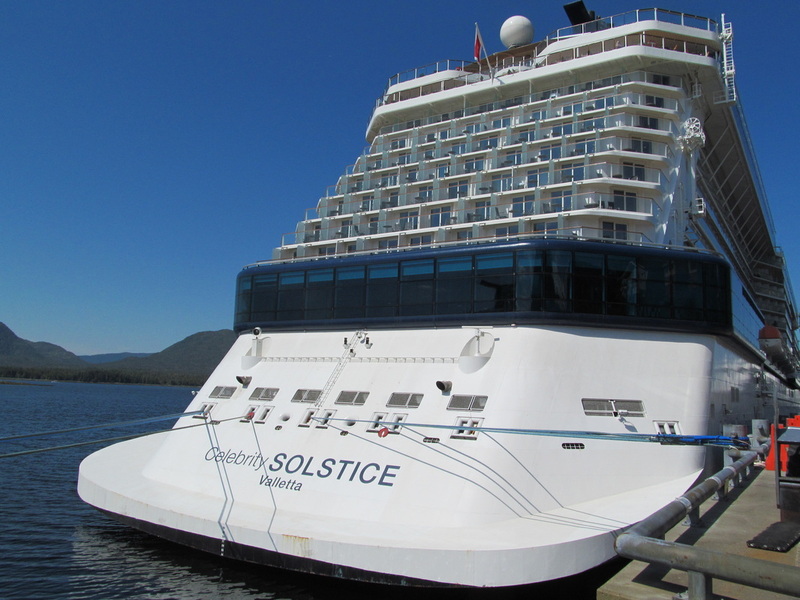 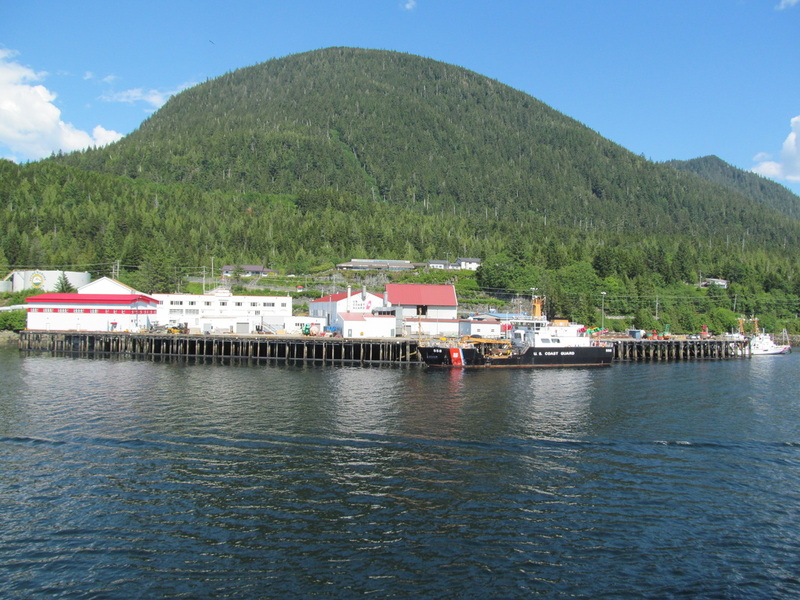 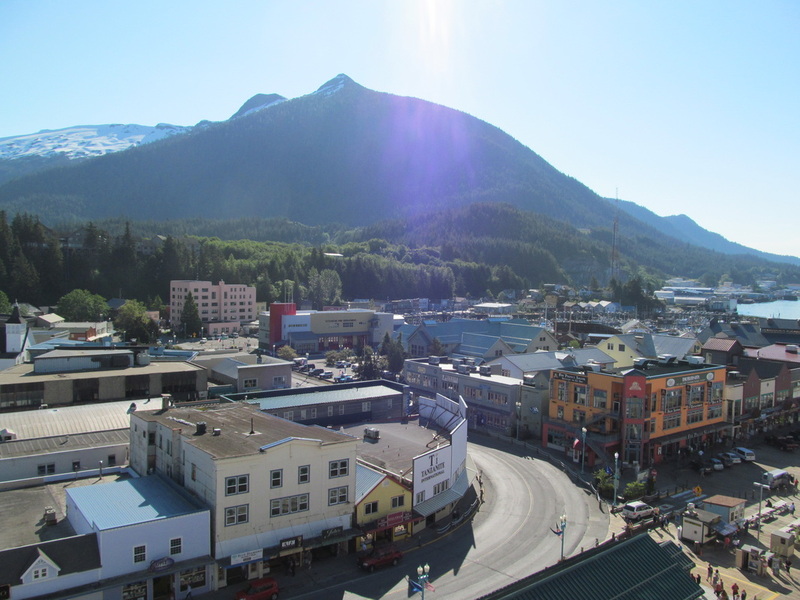 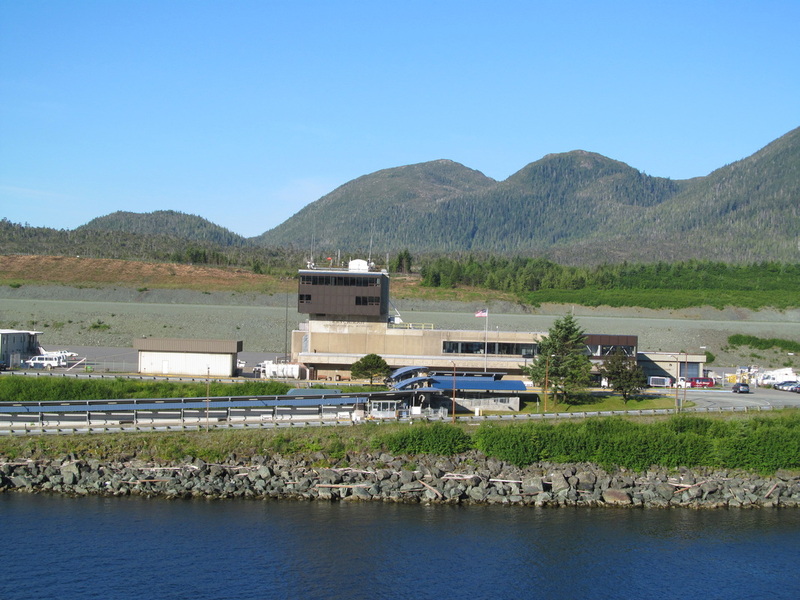 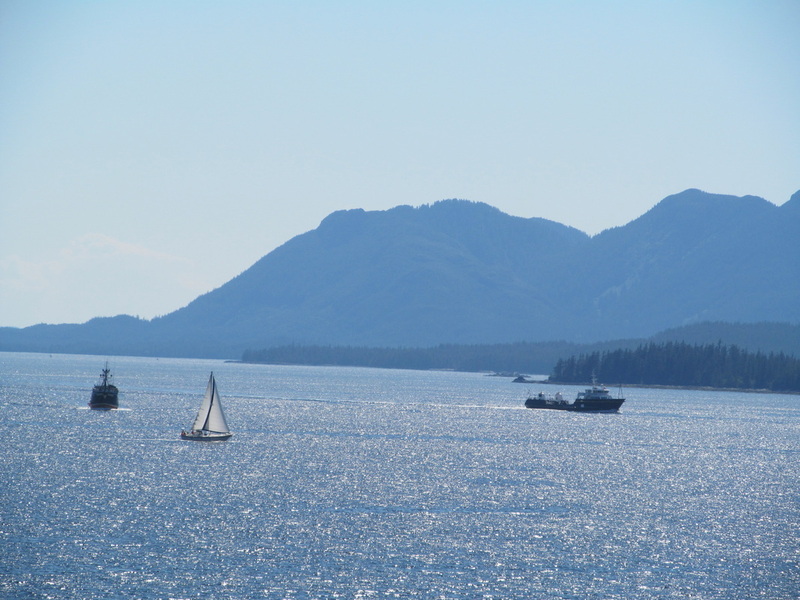 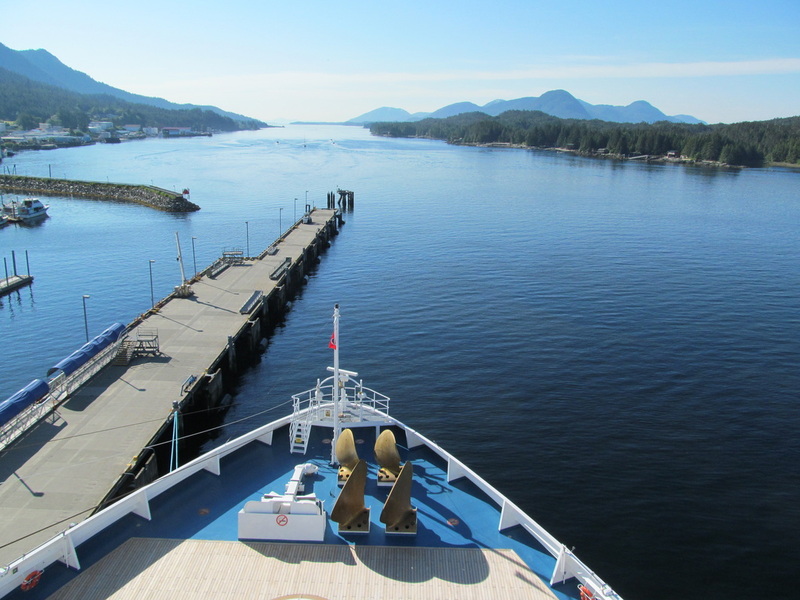 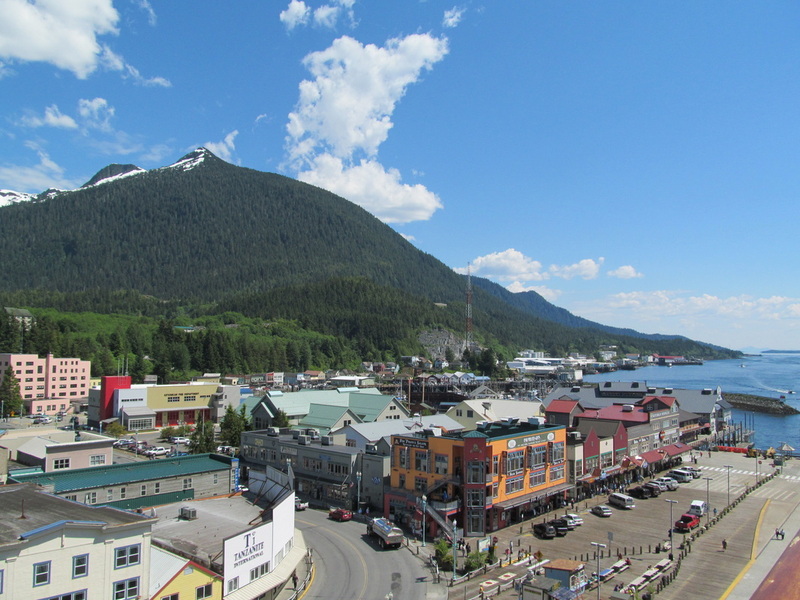 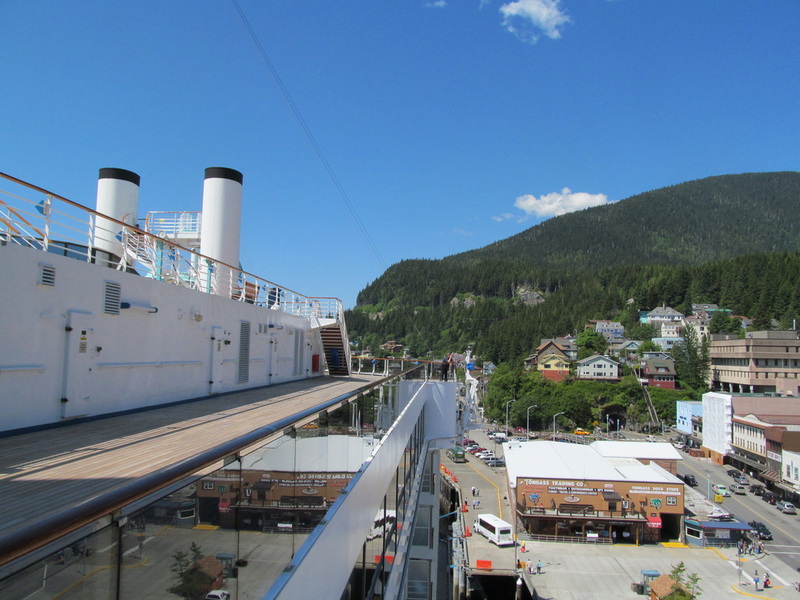 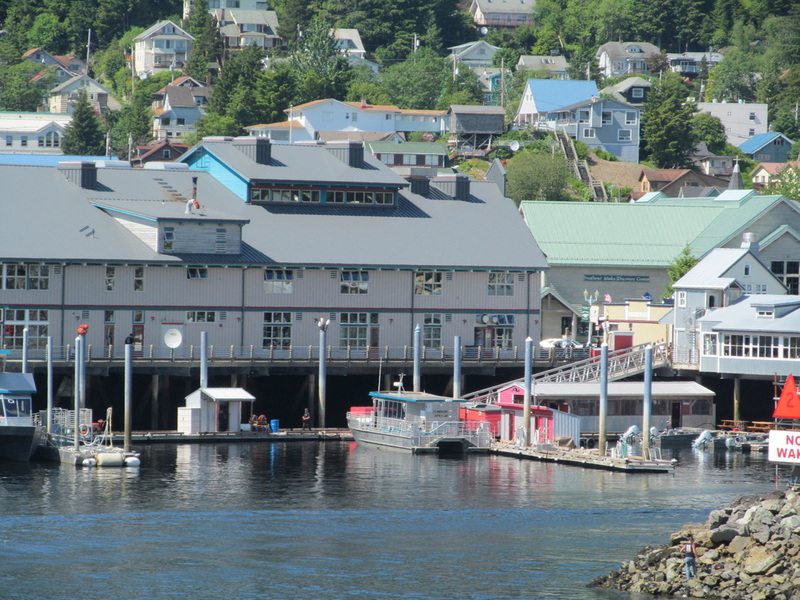 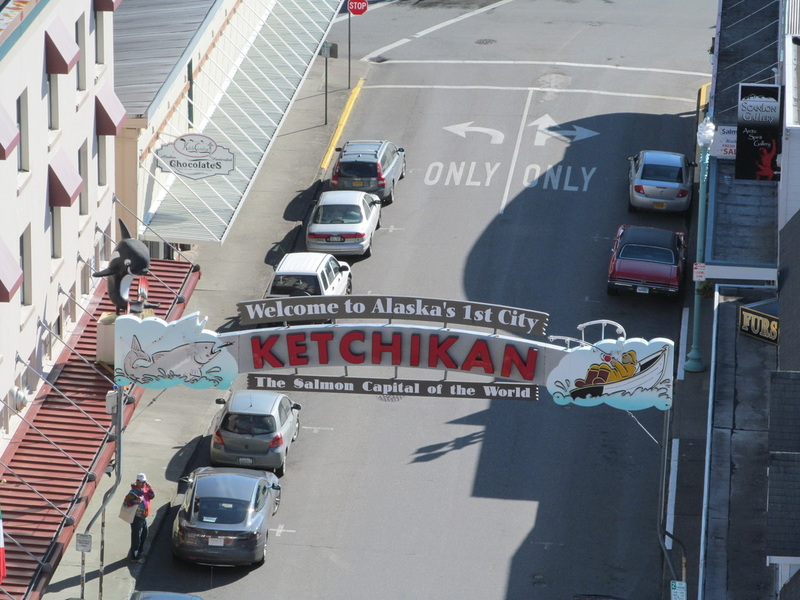 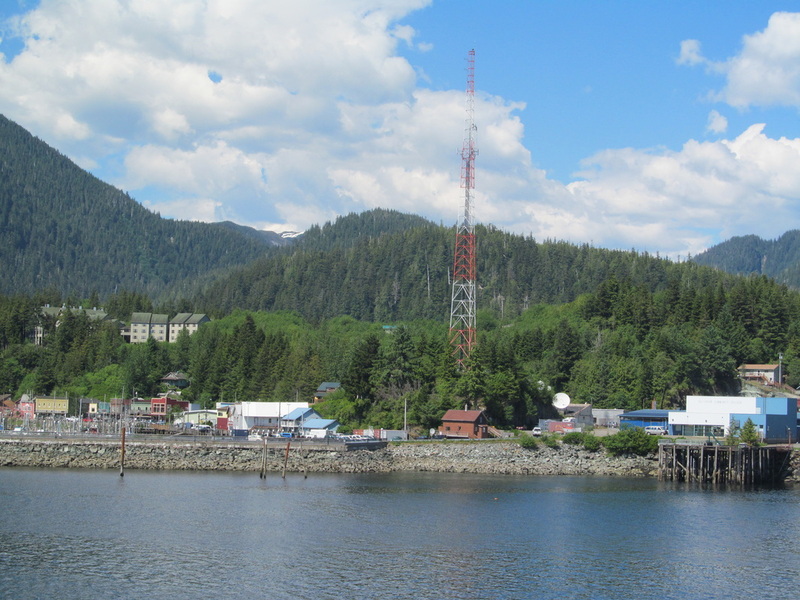 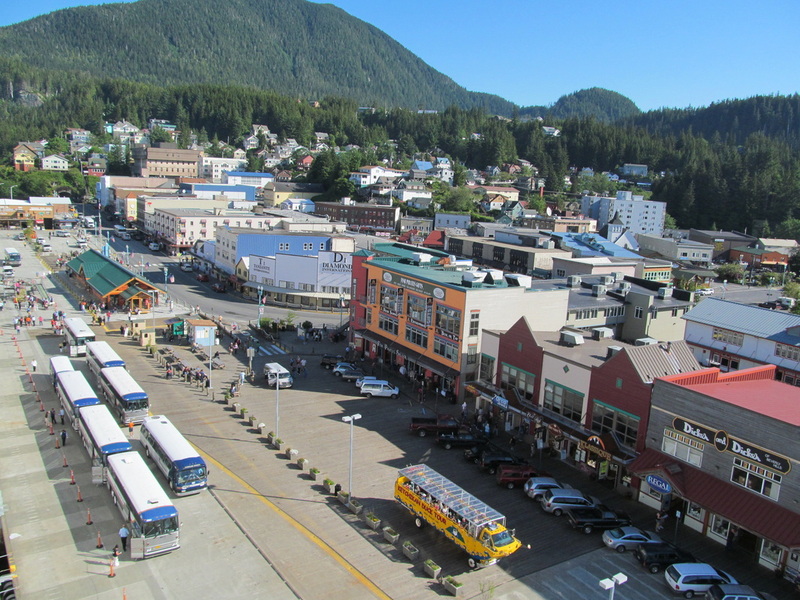 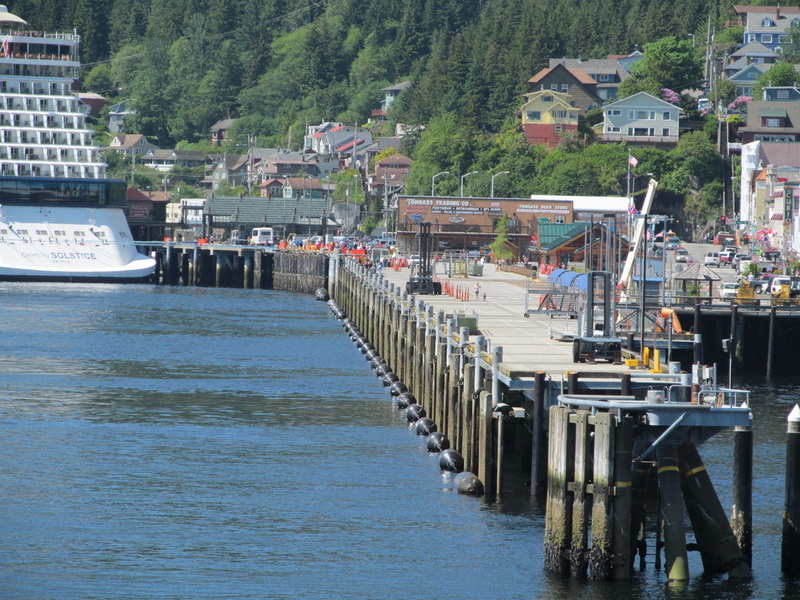 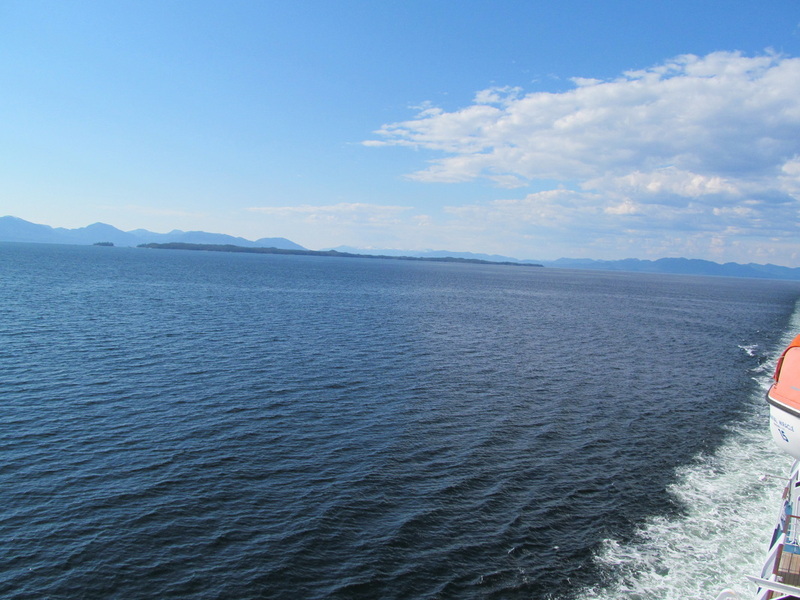 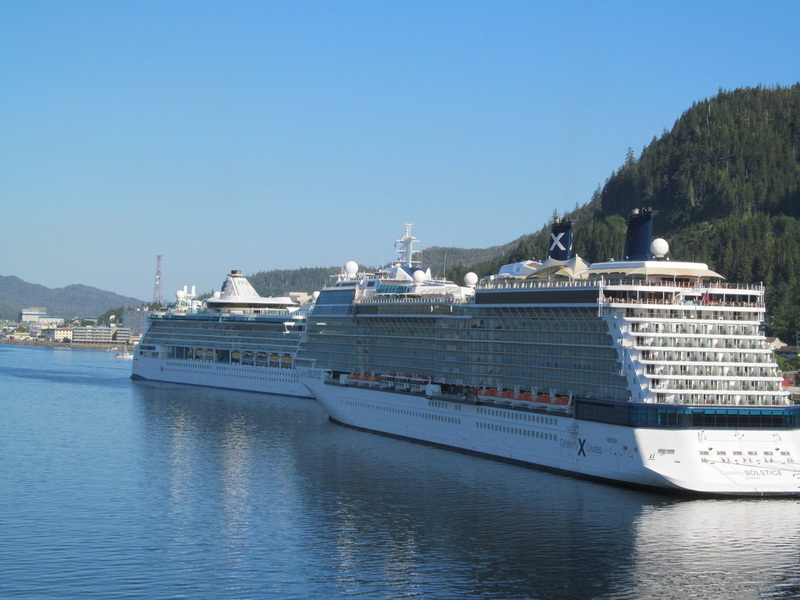 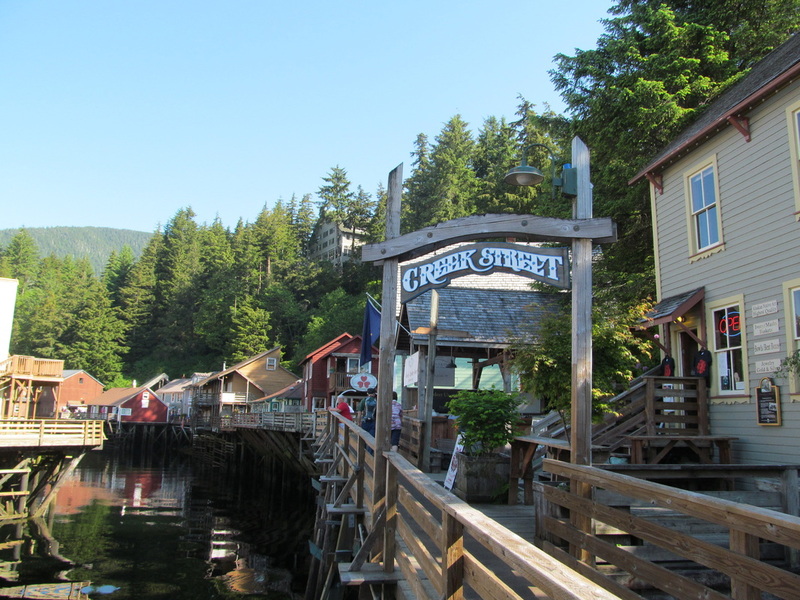 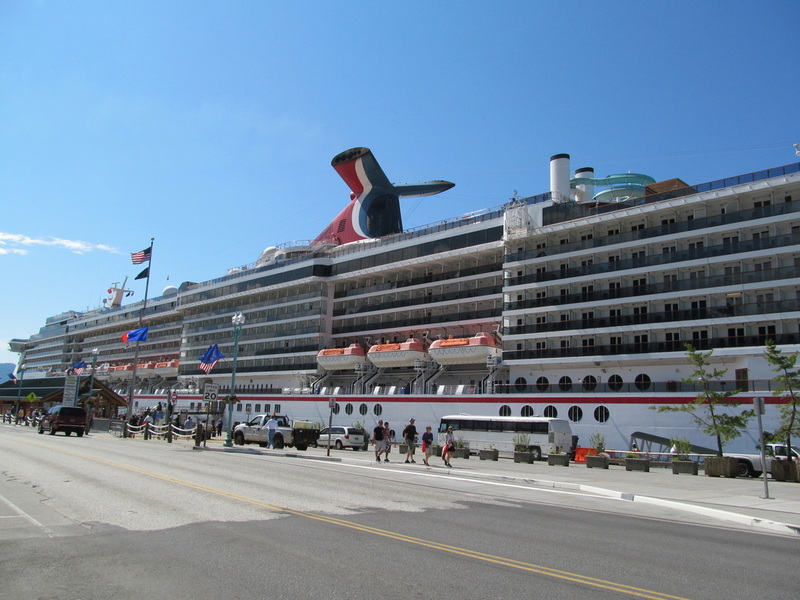 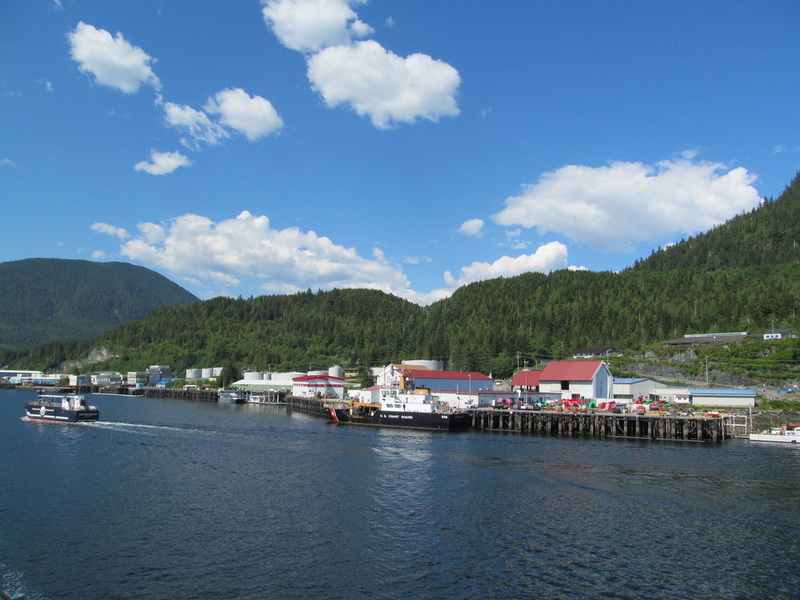 When the ship arrived in Ketchikan, Alaska, I was on the outside decks taking pictures. 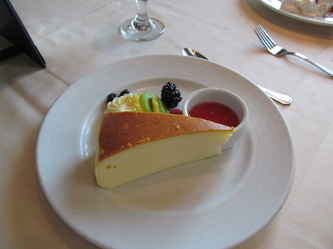 Breakfast was very good, but very crowded because I ate during the peak breakfast time. 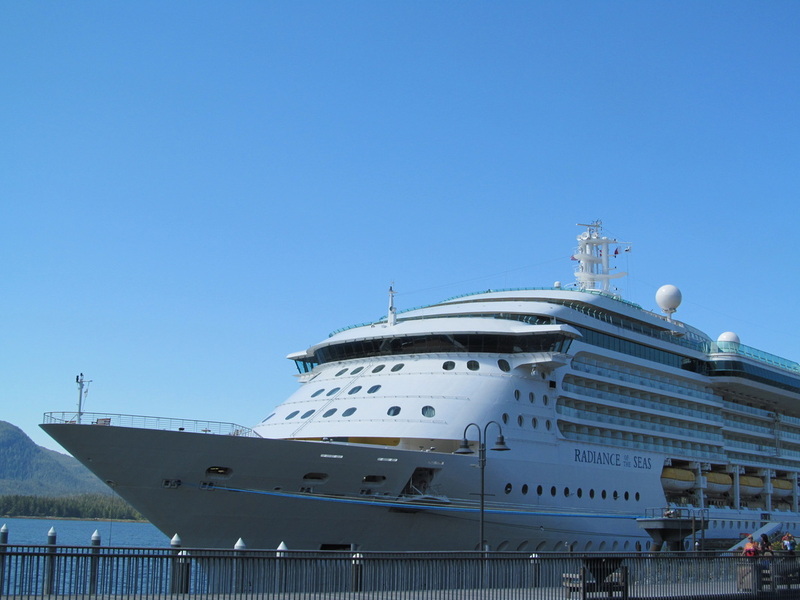 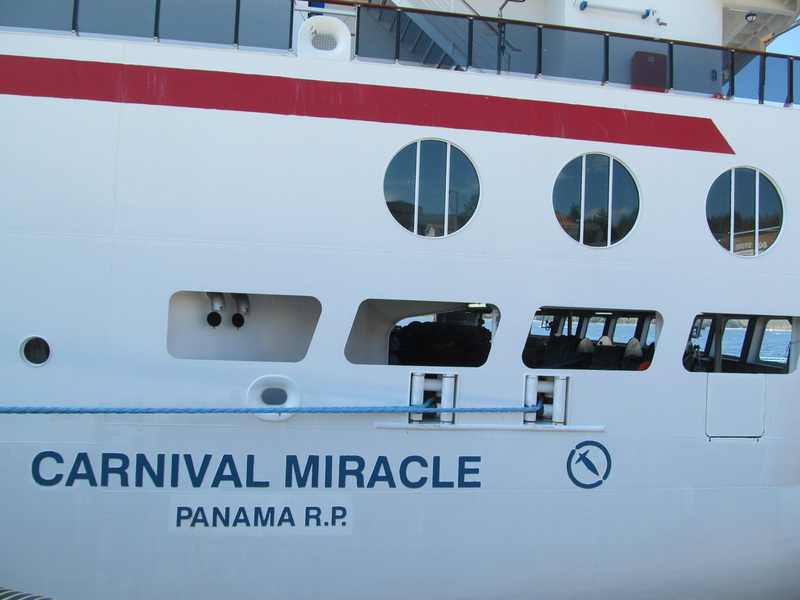 Many people were in a hurry to get to an excursion or a certain place in port. 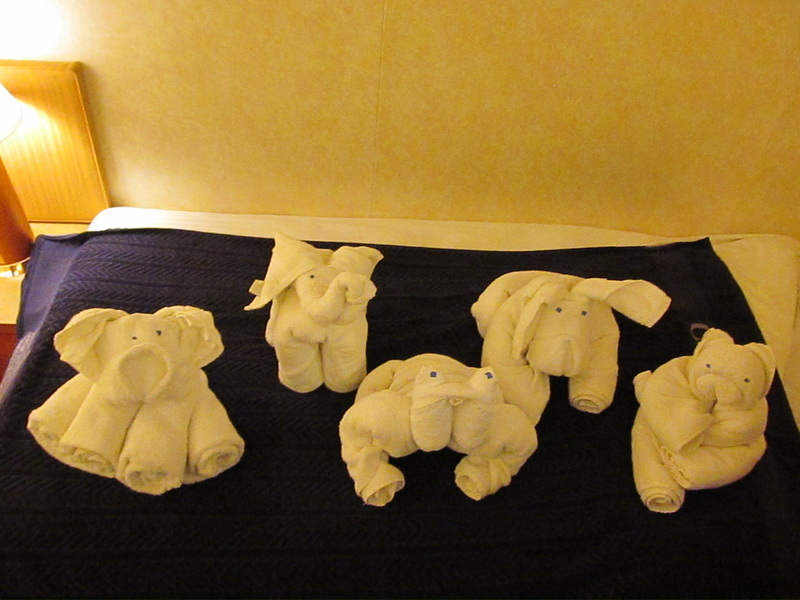 As time passed Horatio's started to have less people. 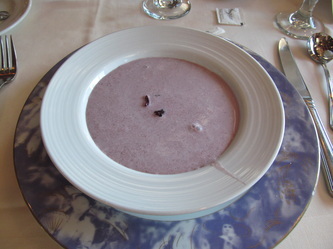 I am sorry that I did not take a picture of the breakfast food today. I will make up for it by posting lunch and dinner photos later in today's review. 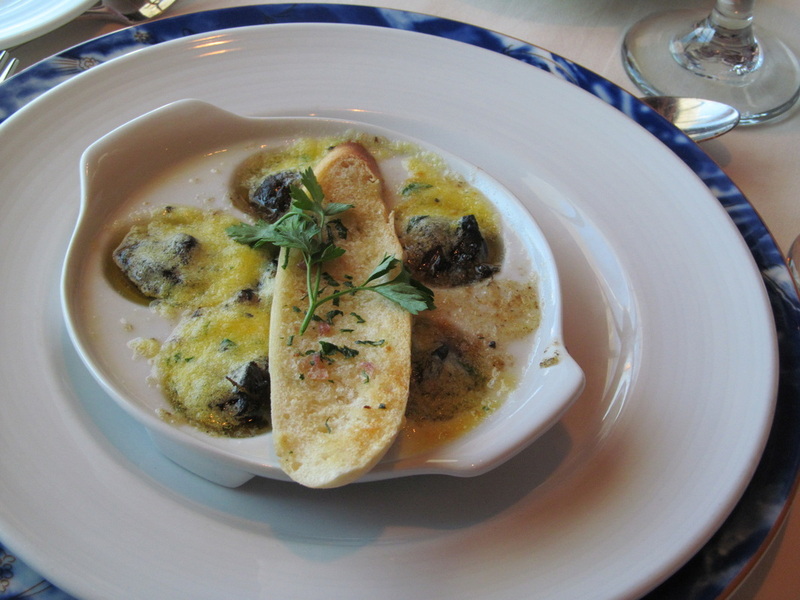 Stay tuned for today's dinner review to read about a food incident that occurred. 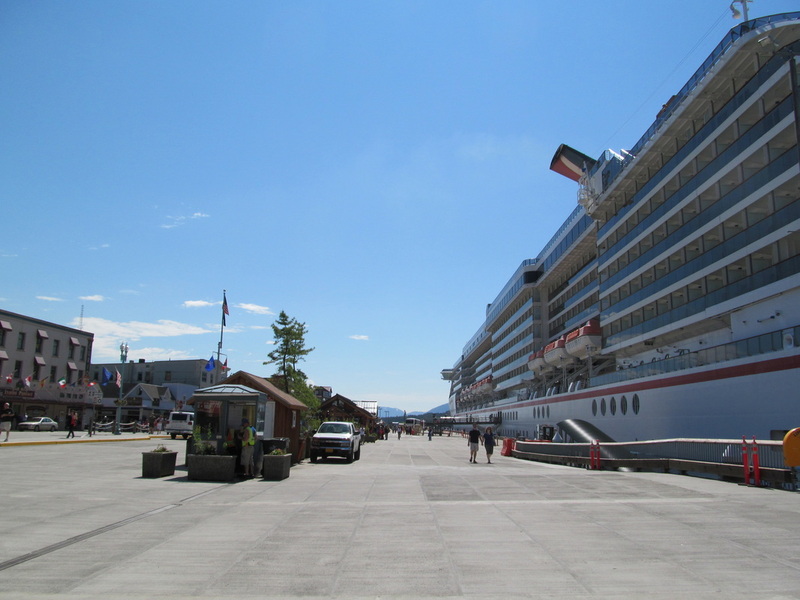 Getting of The Ship: The process of getting off the ship was quick and easy. 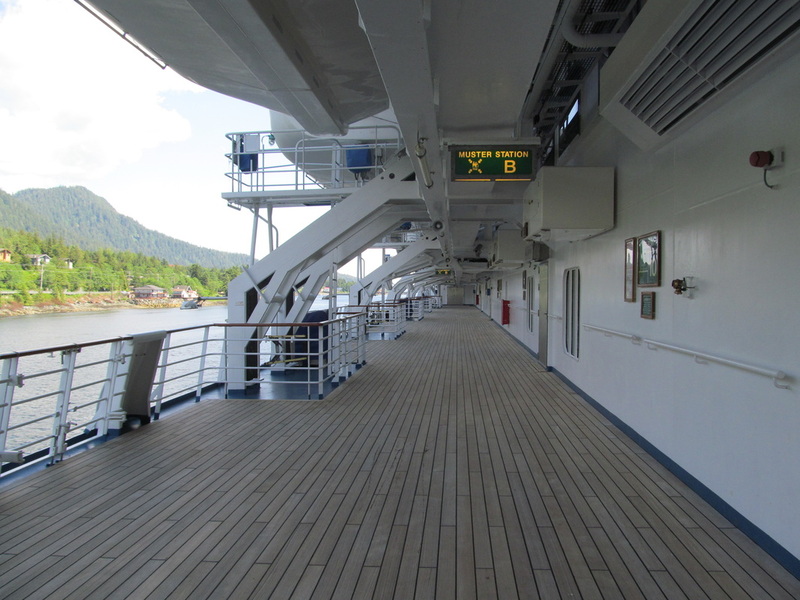 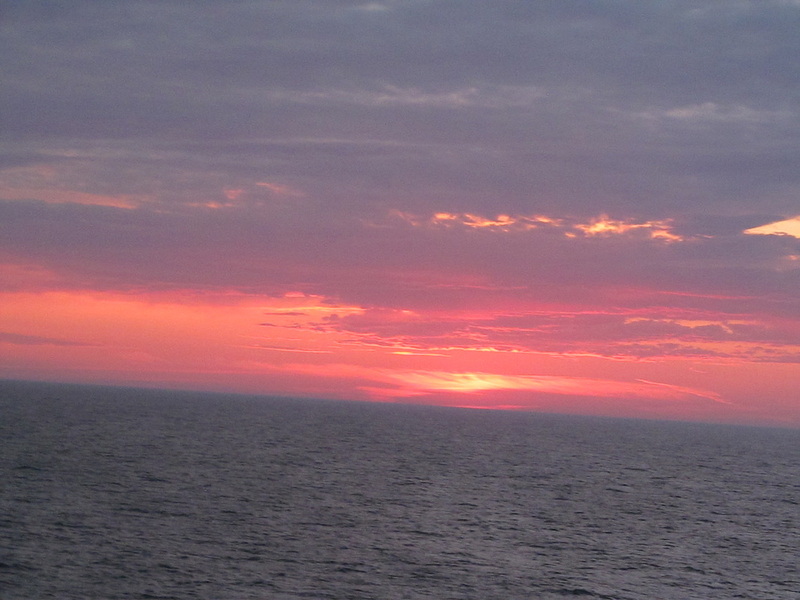 The majority of the people who were in a hurry were already off the ship. 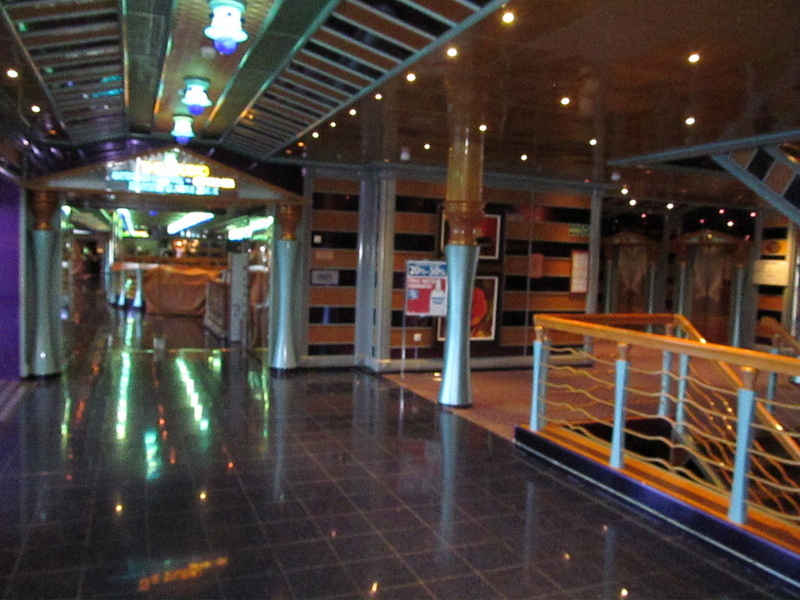 The security guards working the gangway looked bored because hardly anybody was getting off or back on the ship. 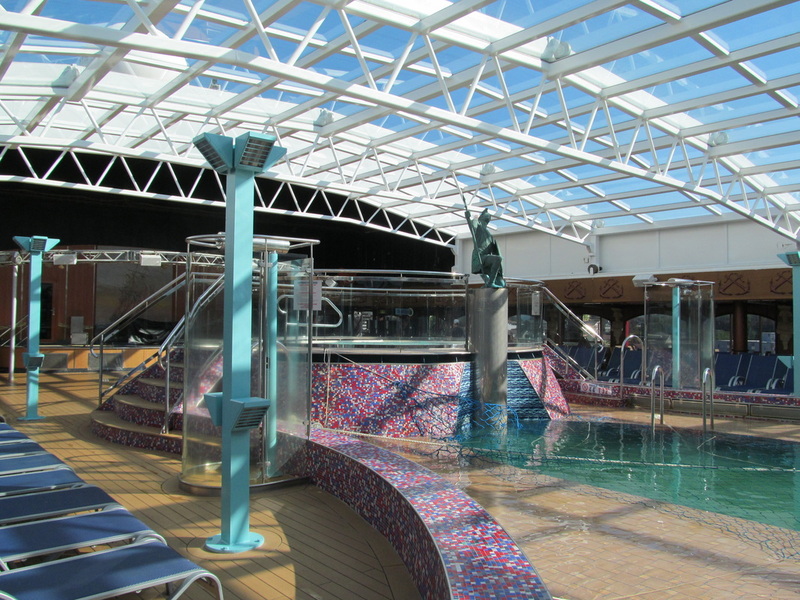 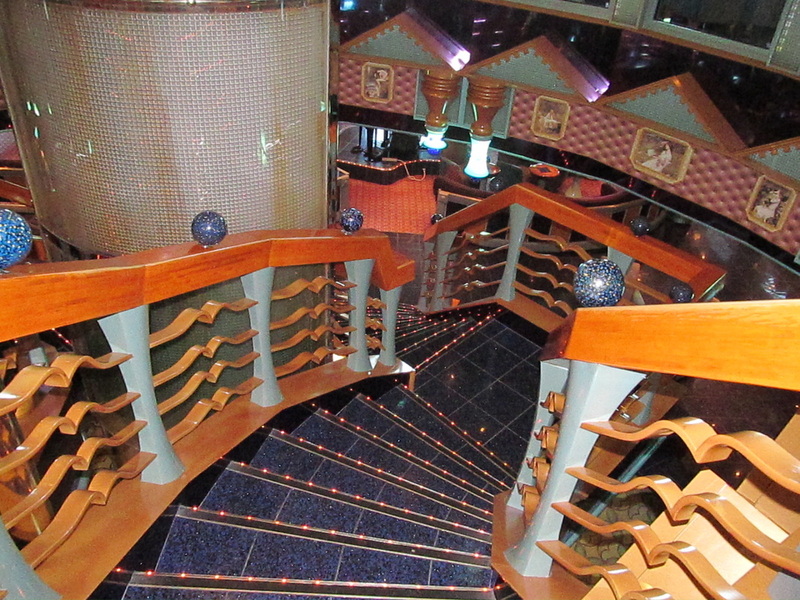 The gangway was located at the bottom of the atrium on Deck 2. 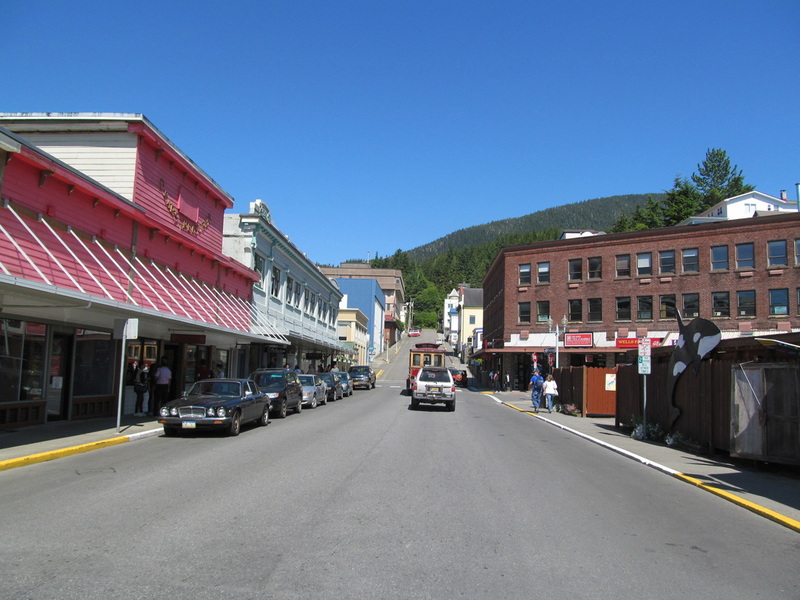 The shopping maps and coupons could be found here. 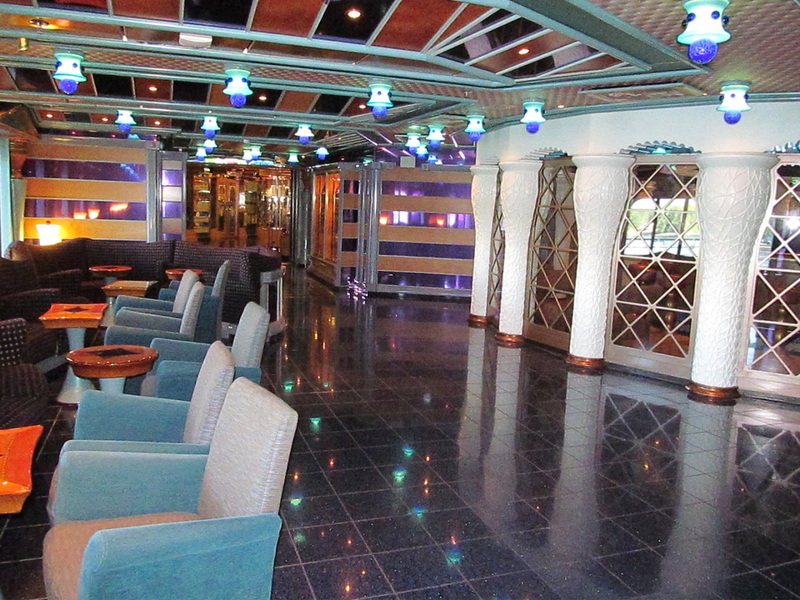 Lunch in Bacchus Dining Room: Out of 7 cruises this was my second time to ever eat lunch in the main dining room. 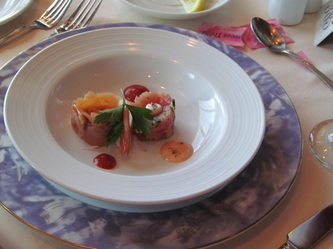 I normally eat in the lido buffet. 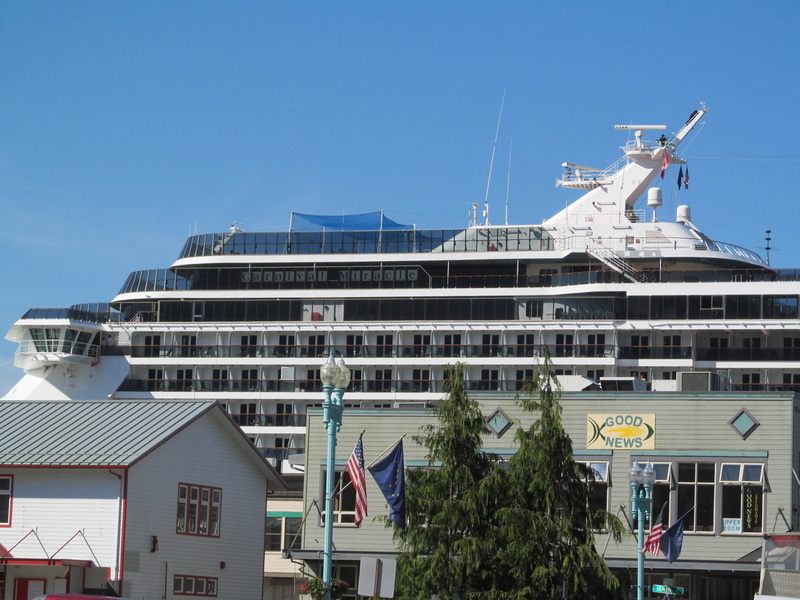 I have had a Pastrami on Rye sandwich from the deli every day at lunch since my 2nd cruise. 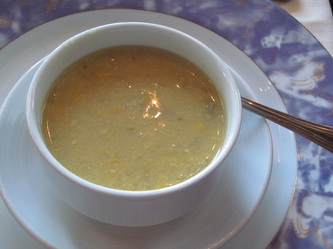 Eating in the main dining room for lunch was very different than dinner. The starter, main course, and dessert menu were all able to fit on one page. 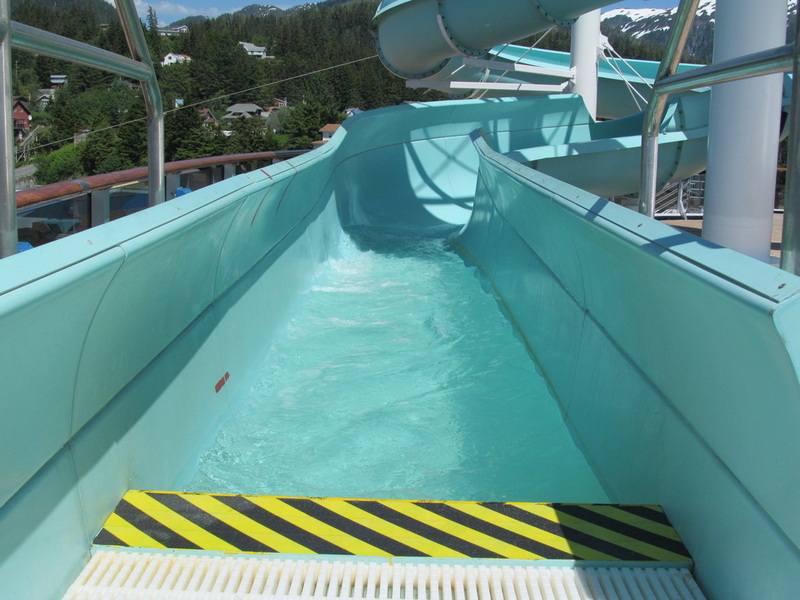 The choices were limited. I did not see a starter that I wanted so I asked if I could have a Caesar Salad. 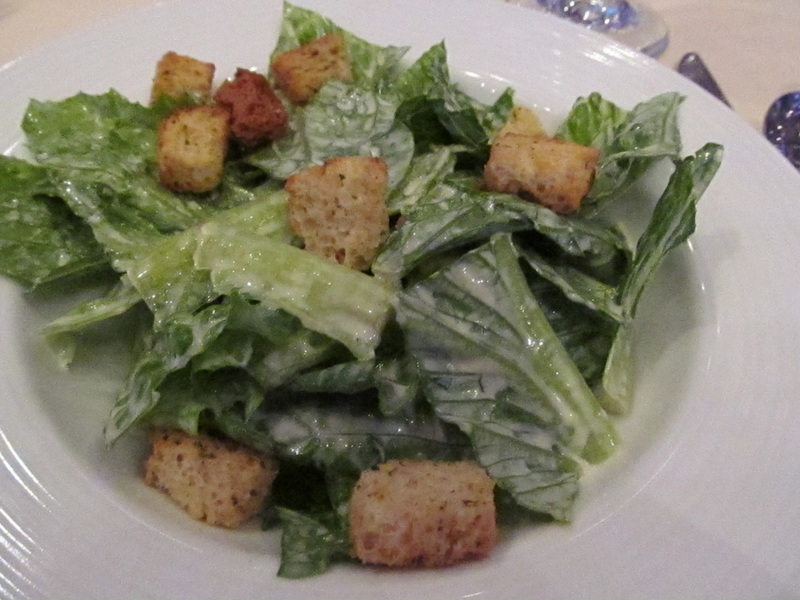 The server came with the other people at my tables food and then asked me if I still wanted a Caesar Salad. 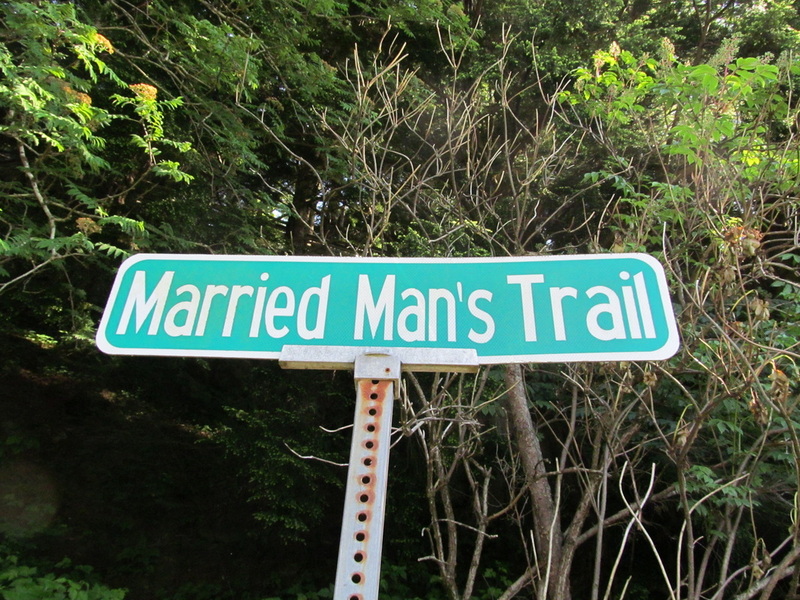 I told him yes and then he told me it would be 15 more minutes. 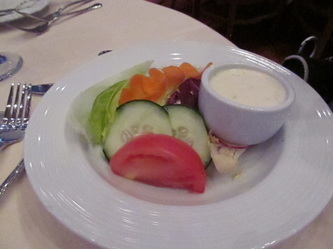 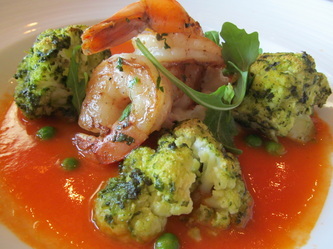 By the time my starter came the other people at my table had their main course. 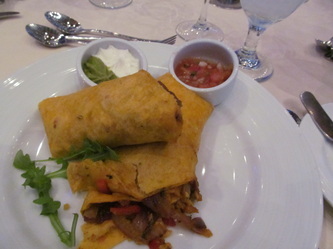 The food was very good, but the service was slow. I prefer to eat in the buffet at lunch from now on. 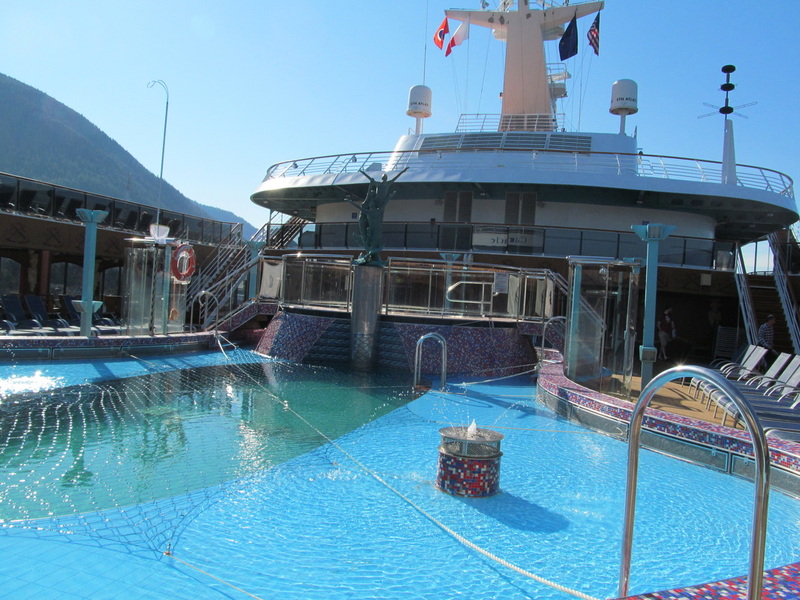 People were enjoying the outside decks, pools, and waterslide because the temperature was warm and the weather was nice. 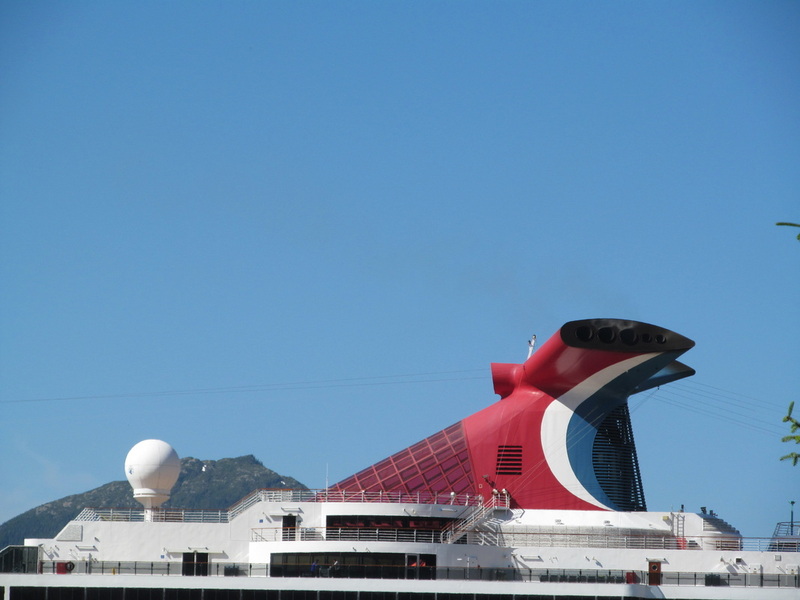 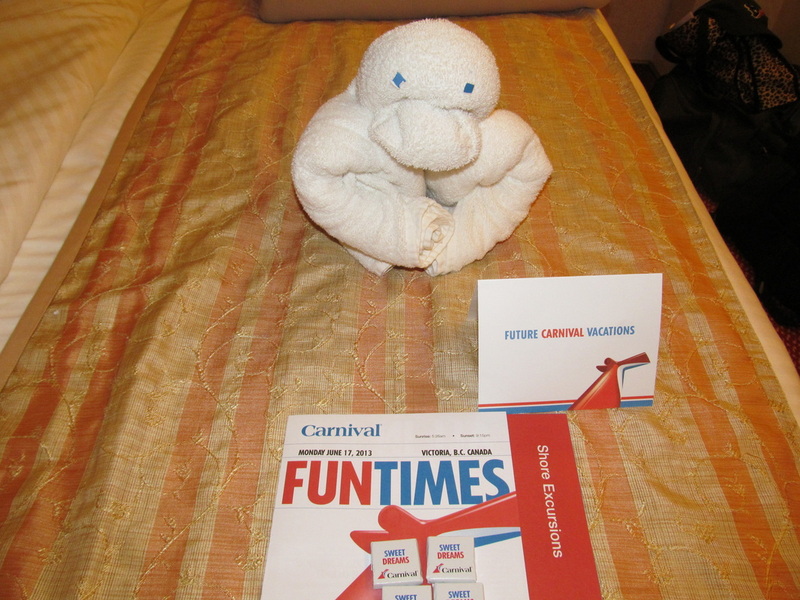 This was the first time during the cruise that I saw somebody using the waterslide. 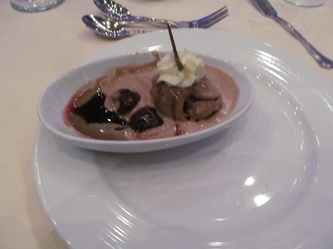 One of the desserts at my table had plastic stuffed in the middle of the amaretto cake. 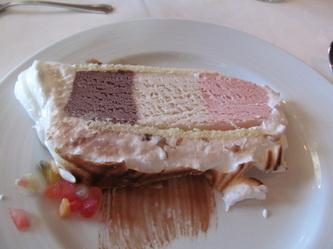 The waiter was immediately notified because he was standing right by my table and his eyes became large and he ran with the dessert to the galley. On his way he stopped to show other waiters and waitresses the cake. 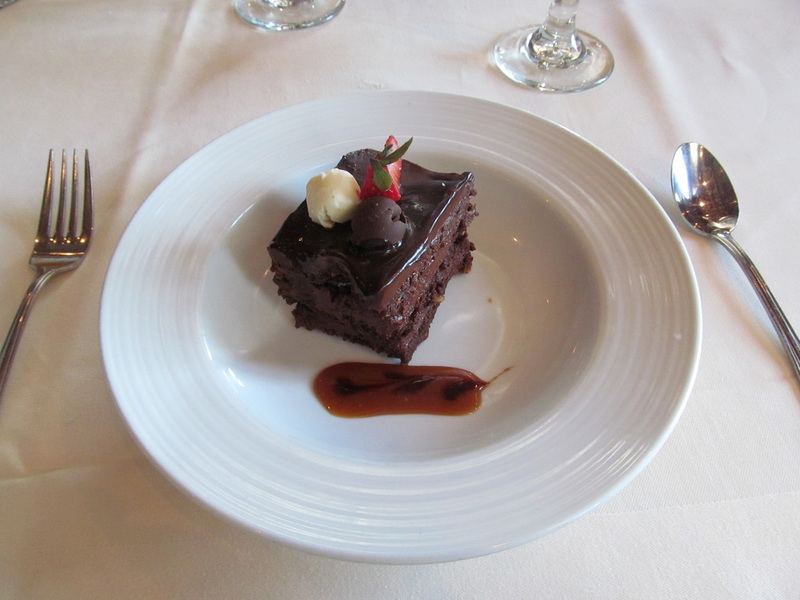 While our waiter was in the galley a person of importance came by to apologize for the food issue. The waiter then came with a new plate of the dessert and apologized again. 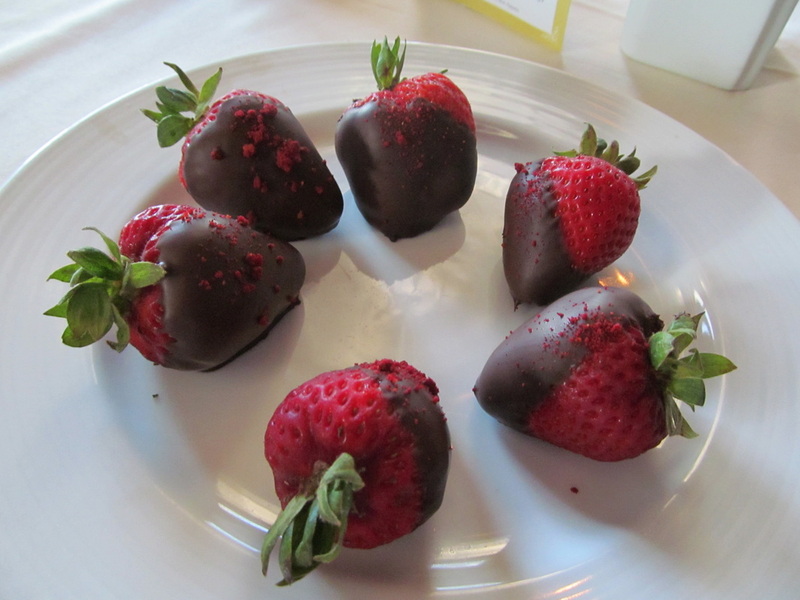 A few minutes later the same person of importance came by and brought a plate of chocolate covered strawberries (pictured to the left). We asked for a to go container and took the strawberry plate back to our room.